Those of you who follow our blog will know that we have been going 'back to the drawing board', and trying to train ourselves in handmade content in order to produce something really special and different for our clients. 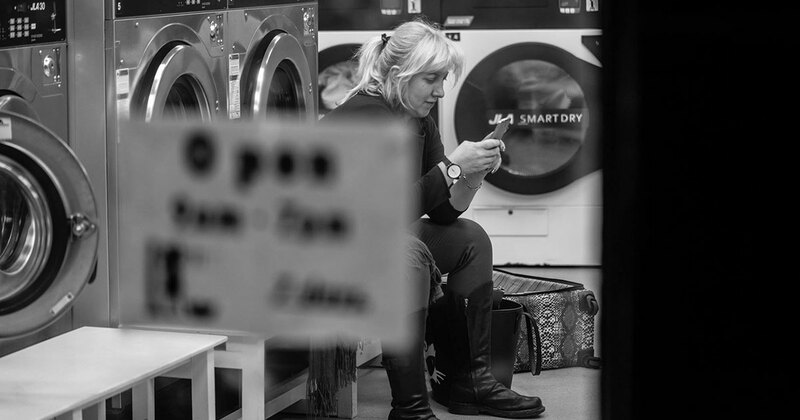 Recently a couple of us went out to try to capture some street photography in Cheltenham, at night. We had a lot of fun trying to look for interesting ways to capture life in Cheltenham, but not as we would normally see it. 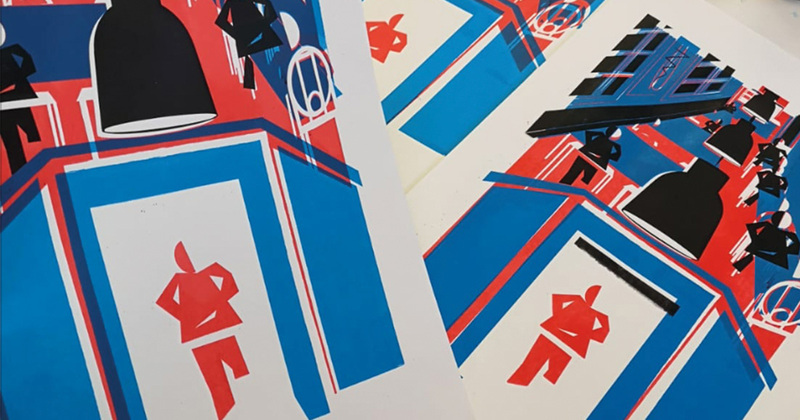 Over the past few months, Pink Sky has been looking back to the roots of illustrative design, and printmaking in particular. 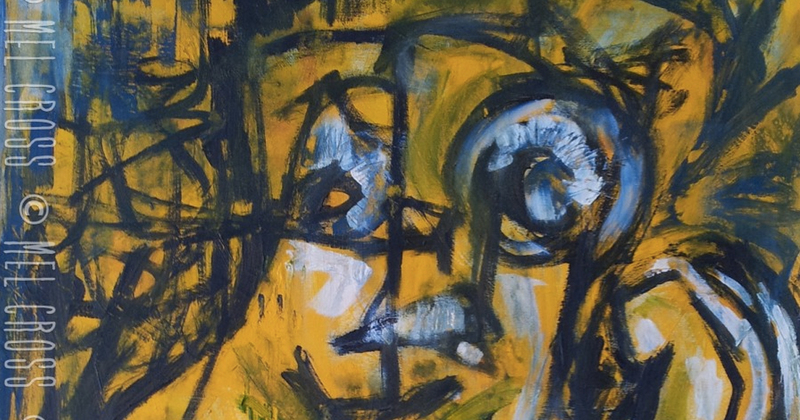 So when this exhibition opened in the tranquil but stylish Chapel Arts Centre near St Gregory’s Church, we knew it was too good an opportunity to miss. 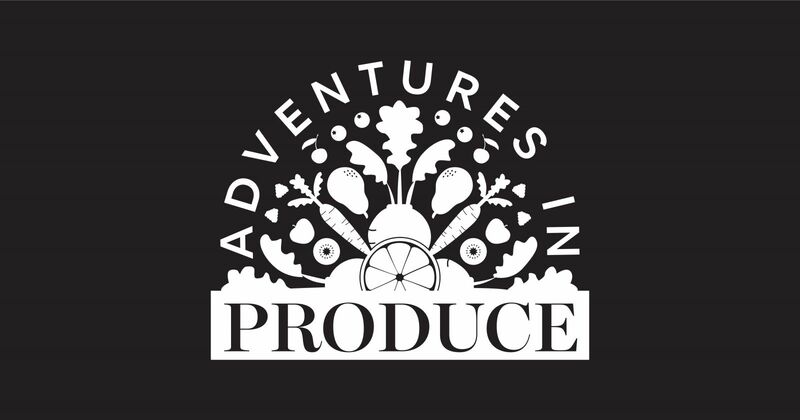 The deliciously earthy sounding Mudwalls food brand is bound to conjure up the flavour of fresh, wholesome produce. 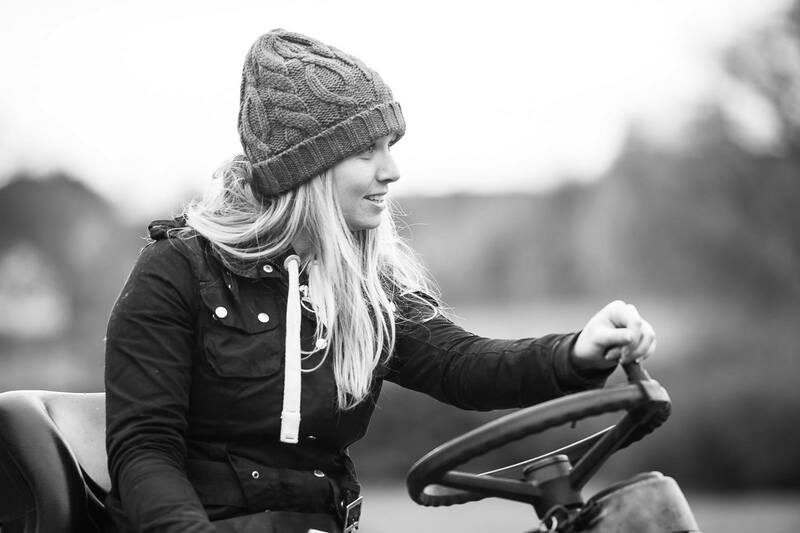 In fact, Mudwalls is a thriving family farming community in Warwickshire, where for the last 30 years they have grown and supplied quality fruit and vegetables to the UK market. 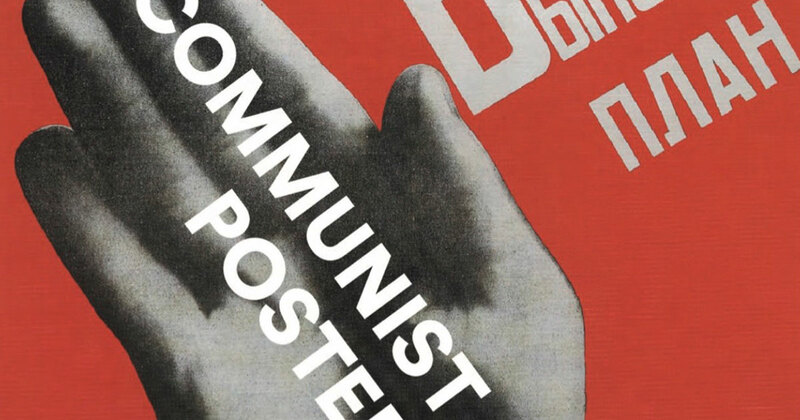 Art historian Mary Ginsberg has compiled Communist Posters, a lavish book on the history and production of Communist propaganda posters from the Revolution to the end of the Cold War and beyond. 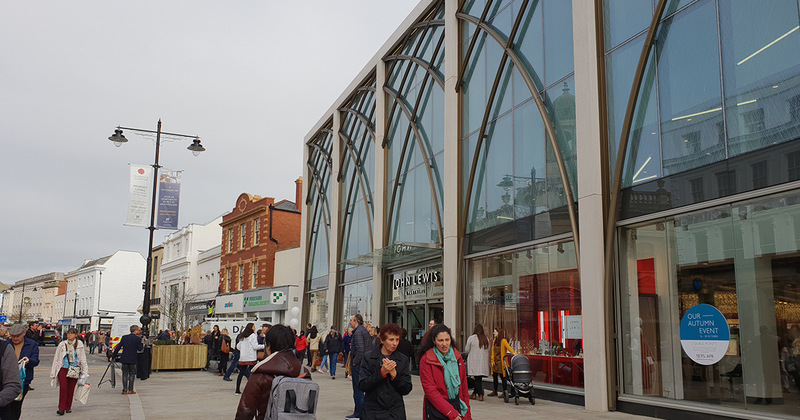 Hot on the heels of the Cheltenham Literature Festival tents being packed away, middle-class Cheltonians everywhere grabbed their purses once again this week for a long awaited addition to the high street. Yesterday the design team at Pink Sky had a real treat. We have been thinking a lot in our team meetings lately about the need to bring more hand-made graphics into what we do (we will post more about that later). 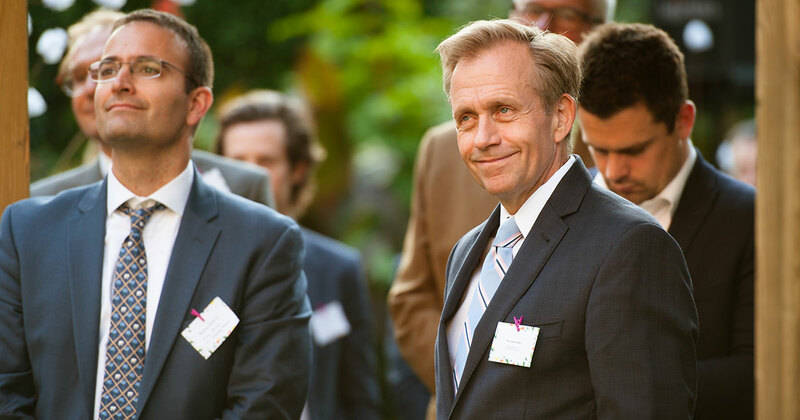 Naomi was recently invited by Greenfood to speak at their annual launch conference in Scandinavia on the subject of retail trends in fresh produce across Europe. 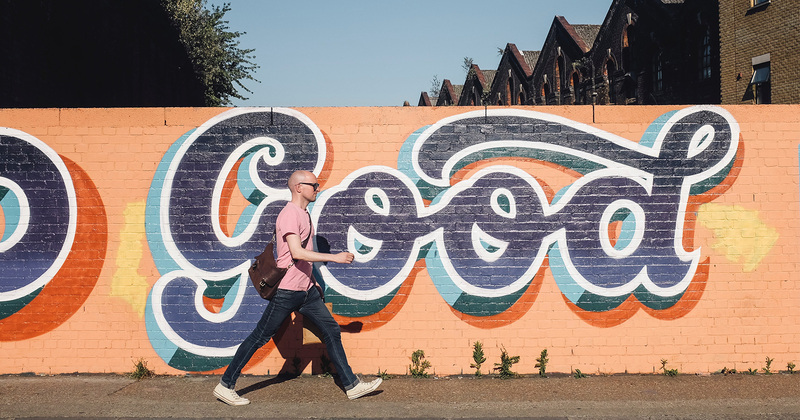 At Pink Sky, we've long held the view that when we can use our skills to help the wider community, we should use those skills to effect change. This belief is within all of us at Pink Sky, and the opportunity to contribute 20% of our time benefits us all: we improve our skills, broaden our knowledge, see the world from different perspectives, and we make new friends. The story of Skyscraper is one of Kickstarter's triumphs. 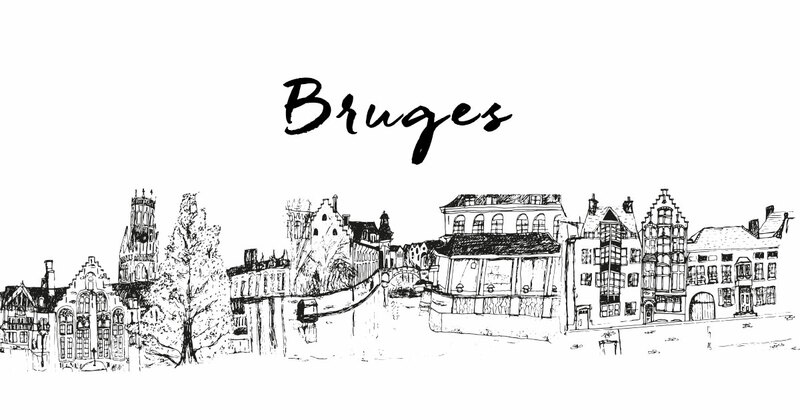 Currently Bruges is celebrating 'Triennial', which is "Impressive constructions by contemporary artists and architects worldwide will appear in the historic city centre from 5 May to 16 September 2018. 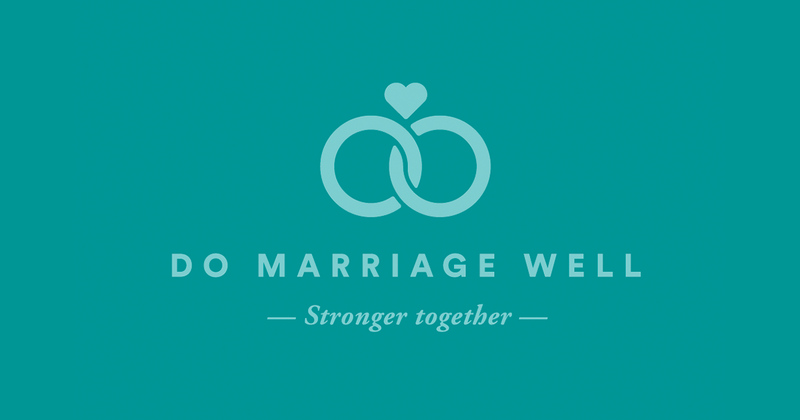 Over the last couple of months we've had the privilege of working with Steve and Christine Hughes to develop a brand for their work helping couples with their marriages. Steve and Christine have been married for 37 years and are passionate about drawing alongside married couples to deepen and, if necessary, repair their marriages. 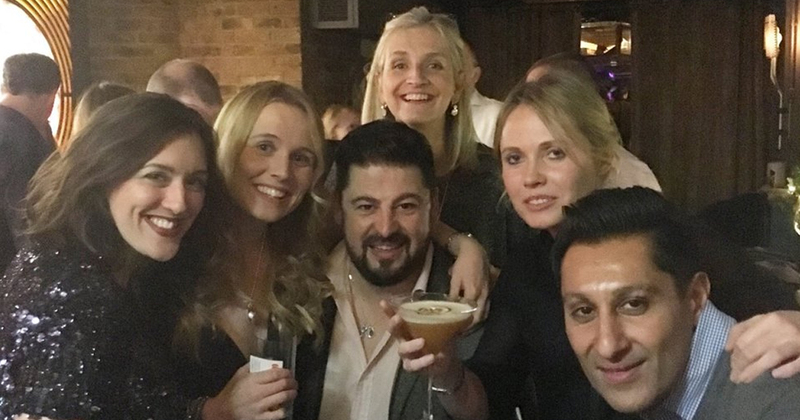 Recently I was privileged to be invited to the grand re-opening of The Langton, a relaxed bar and dining experience in Charlton Kings, Cheltenham. I have been visiting The Langton for many years, both for business and for pleasure. My name is Jorge and I am doing my internship at Pink Sky for 3 months. I am from Cáceres, a lovely town located in the west of Spain. It is my hometown since I grew up there, somehow thanks to that I am the person I am now. You might be aware that you don't do enough social media, or any at all, but you're also thinking you don't have the time or knowledge to do anything else right now. We recently had the pleasure of creating a completely new brand for a start-up company called E-drop. As part of a bigger organisation, E-Drop was developed from scratch to offer a much needed service in the world of online shopping and delivery solutions. 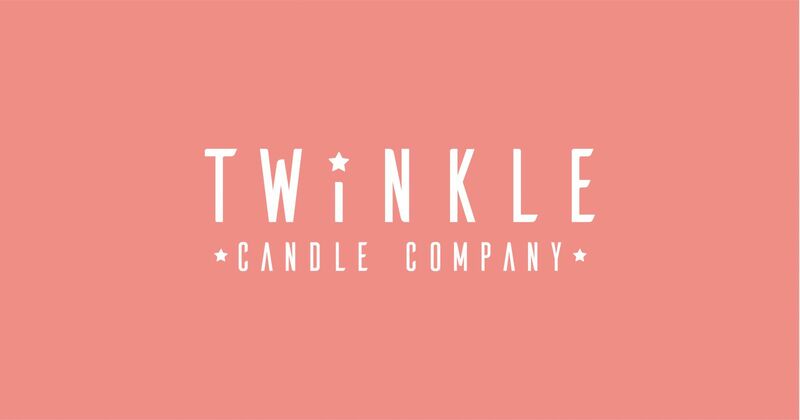 Twinkle Candle Company is based in America and handmake soy candles and body products. Their products don't involve any animal testing and only contain high quality ingredients, they are also all vegan friendly with no Phlalate or Parabens used. At Pink Sky we attend many trade shows each year, either for, or with our clients, and we're becoming quite the pros at shows. Obviously we love to help design and staff stands but never let it be said that we can't offer some practical guidance too. 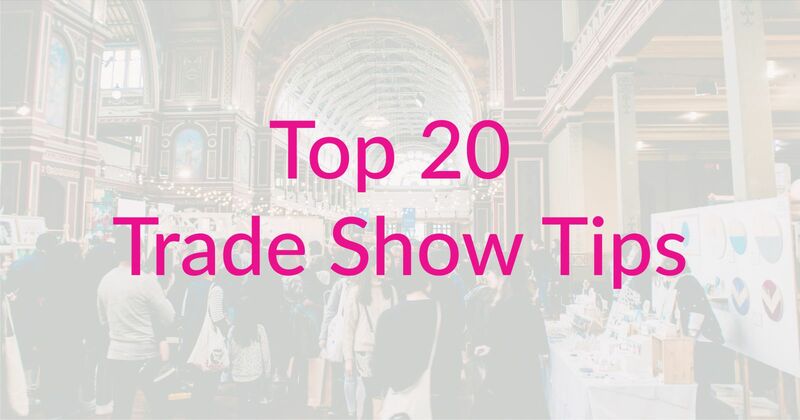 So we've put together our Top 20 Trade Tips, or T2TST if you will. 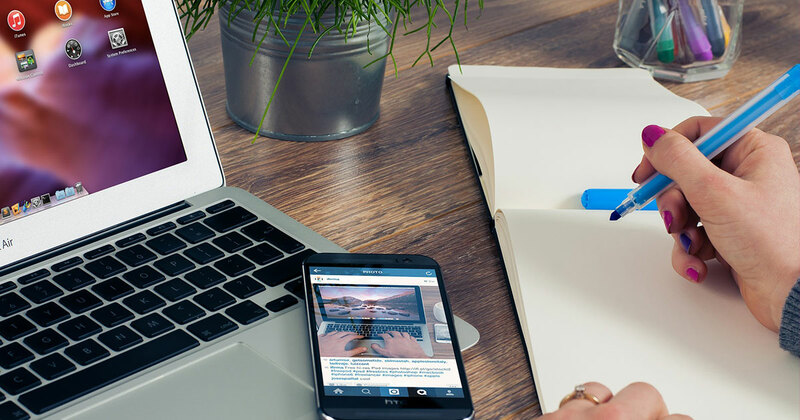 These are things to help promote your brand, or your client, while also remembering all the important things you'll need at the show. Words form a basic part of everyday communication, but they also allow us to enjoy some of the more beautiful experiences on earth. Favourite songs, handwritten letters, declarations of love, requests for forgiveness, unknown languages, films, first words and of course, books. For some time now we have followed and admired the work of the very talented Autumn Moon. 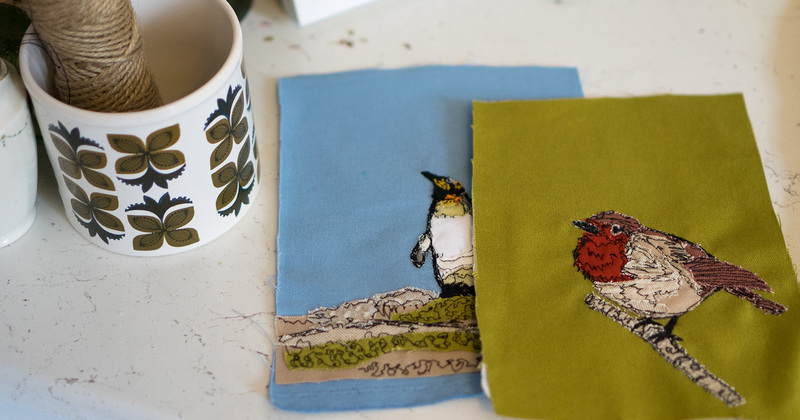 Sari's beautiful freehand embroidery gets more creative every time we see it, and we are huge fans. 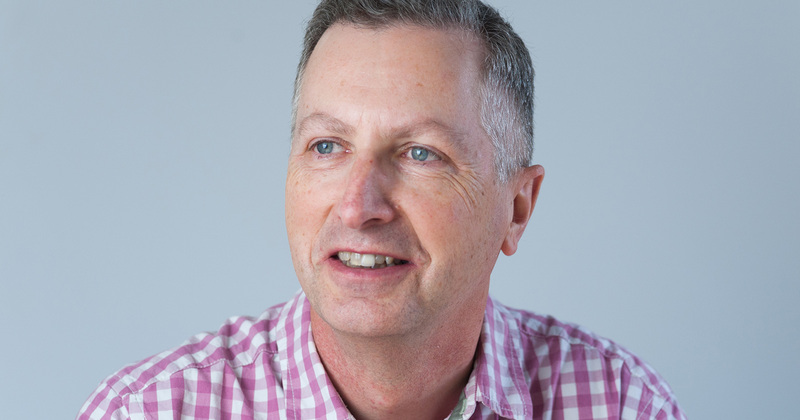 Recently we did some head shots for Stuart Rostron, an Estate planning Practitioner working with the Co-Op. 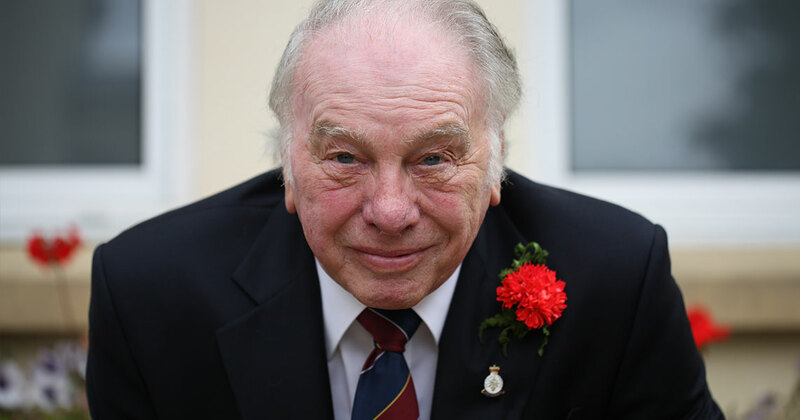 Future security is a vital subject that many shy away from, but we have found Stuart to be friendly, knowledgable and approachable. 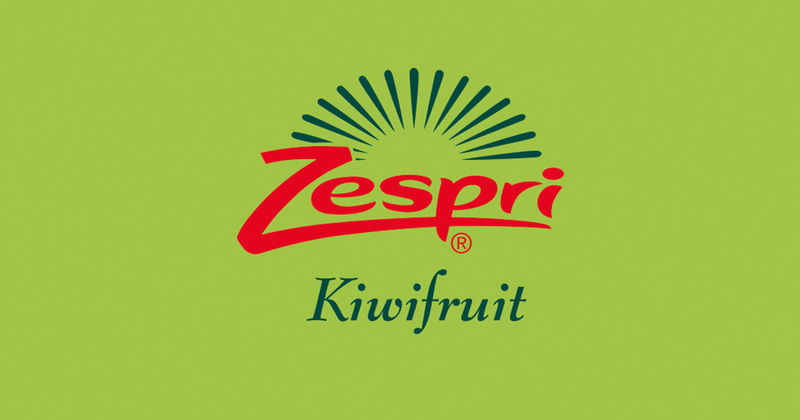 We're really thrilled to be working with Zespri again this year and can see an exciting 2018 ahead. As well as a few other shows, we are particularly looking forward to representing Zespri at This Morning Live again. We are delighted to be working with Philippa Gray this year to create a brand identity for her consultancy, The Yellow Brick Road. 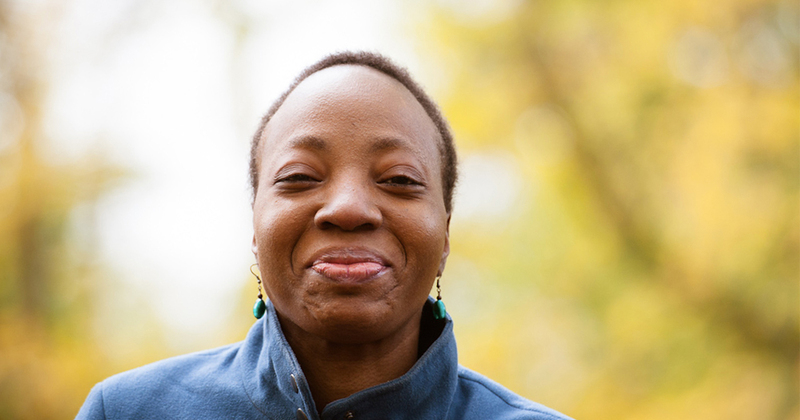 Philippa offers businesses a practical, solution-focused therapy called Rapid Transformational Therapy (RTT). This is a very successful hybrid form of hypnotherapy using the Marisa Peer Method. 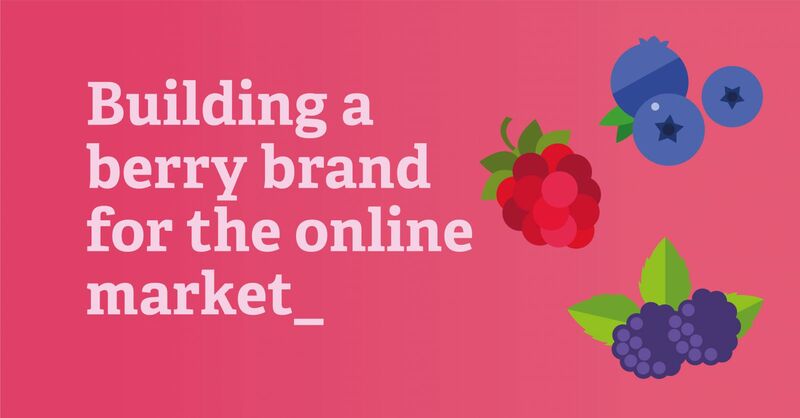 Last week we were privileged to host a workshop at the Global Berry Congress in Rotterdam on the subject of building a berry brand for the online market. In Europe the sales of branded produce is on the rise, but the UK remains steadfastly resolute in its refusal to display product brands in fresh produce. We love having work experience and placement students with us in the studio. 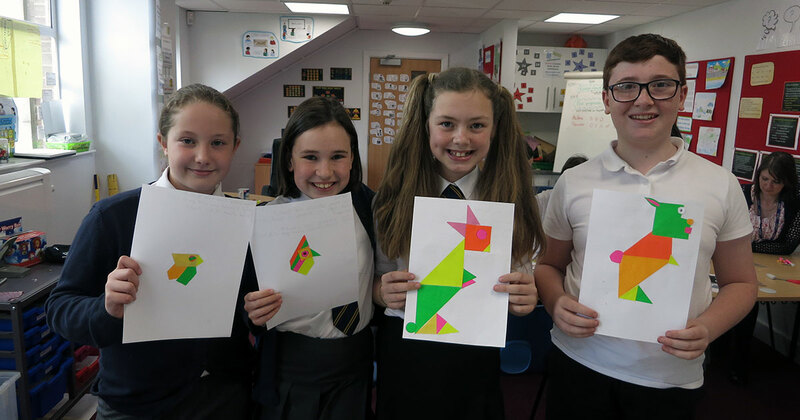 Young fresh ideas are beneficial in any office and we love the variety of ideas our students come up with. 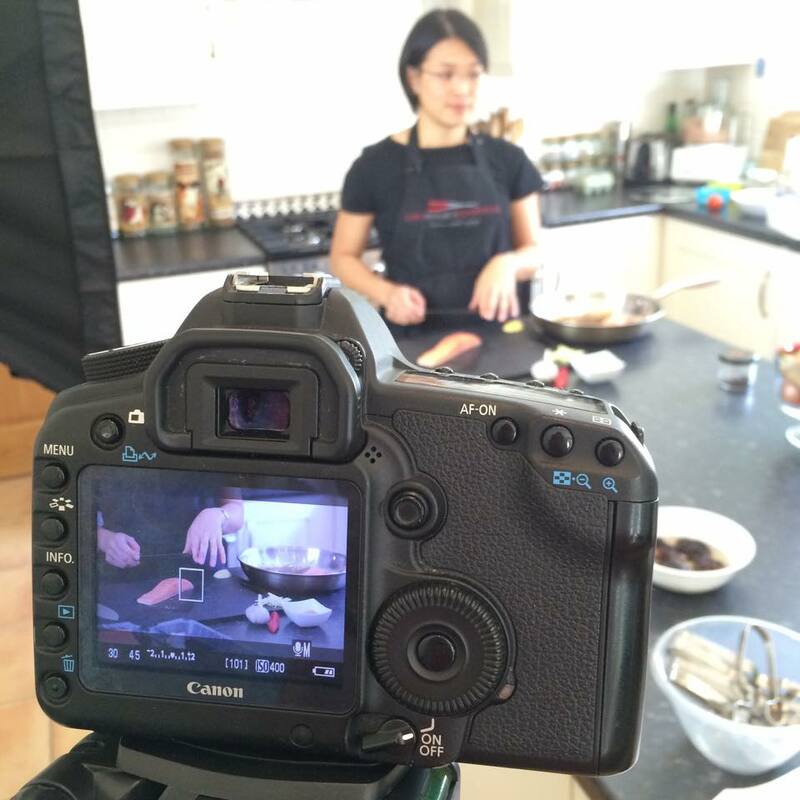 Our ongoing working relationship with Marks & Spencer food just grew another shoot! 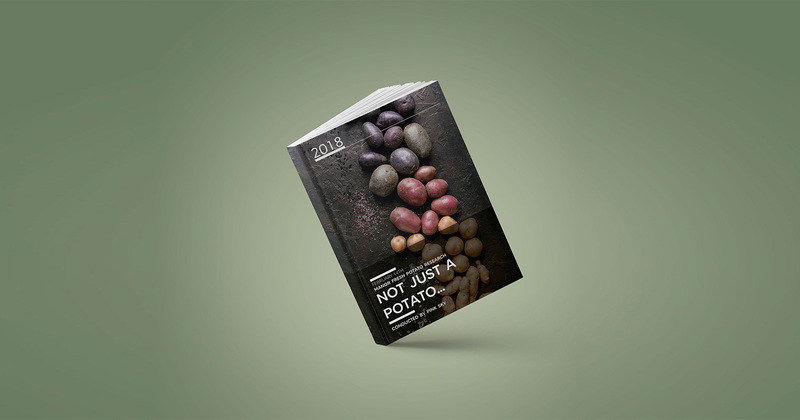 As part of their three year category expansion plan we've been working with potatoes. They are literally everywhere in the office. We would like to tke a moment to honour the comedic genius of the duo that is Hywel Jenkins and Claire Sandys, who work together to produce the Innovative Fresh 'Friday Funnies', which cause a bit of a stir on Instagram! 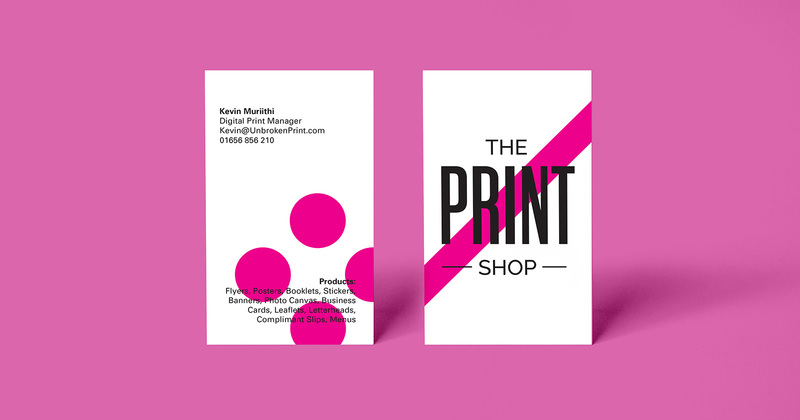 The Print Shop is an innovative business based in Wales, offering a diverse range of print services. 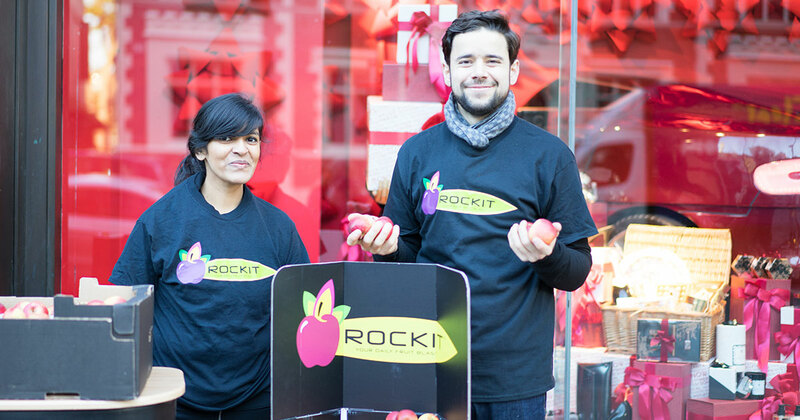 They wanted to have the 'local printer' vibe, alongside a bold and engaging look, to attract customers. 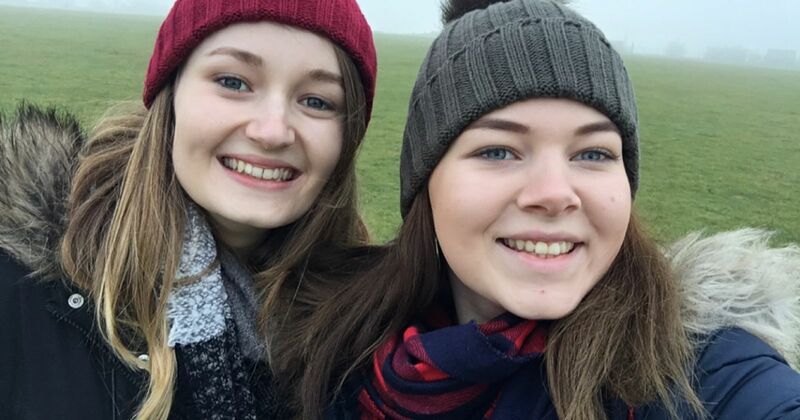 It is with immense pride and great sadness that we bid farewell to our two youngest staff members, Grace and Sarah. Our loss is going to be a great gain to two companies in Cheltenham who are taking on our superstars as they pursue their dreams further. 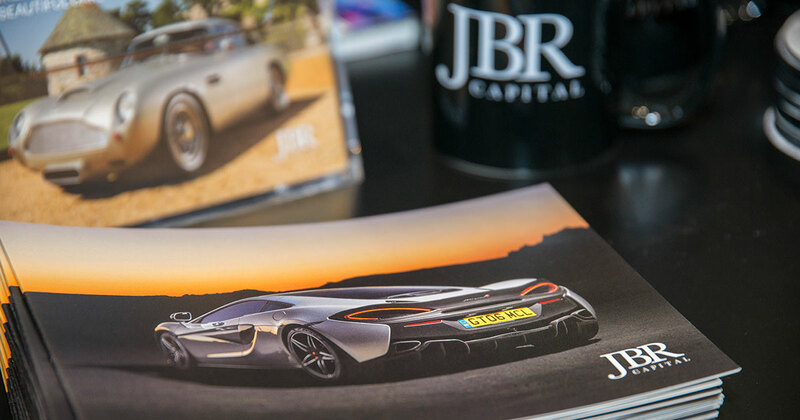 We were proud to once again support JBR Capital and their display at the London Classic Car Show following their first exhibition stand last year. The show has grown from strength to strength with attendance numbers rising from 25,000 in the first year to 40,000 people this year. 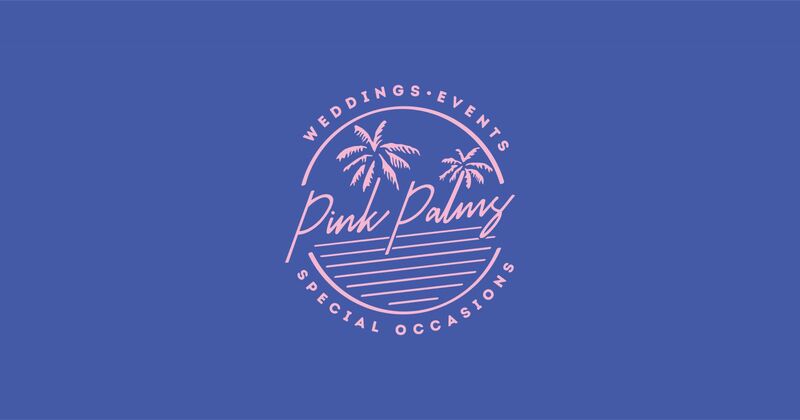 Pink Sky is delighted to be working with Ashleigh Li, who is setting up a new wedding and events planning and styling business. Ashleigh is based in South West London, but the inspiration for her business plan lies in LA, where she lived for a while. 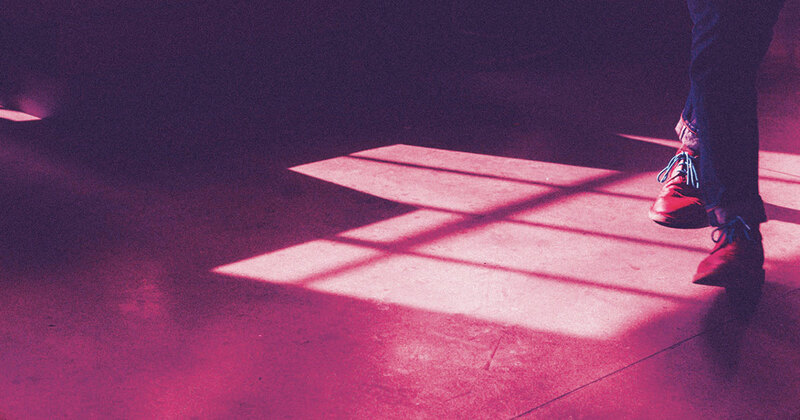 Captivated by the most incredible pink Californian sunsets, Ashleigh is setting out to bring them home for you. 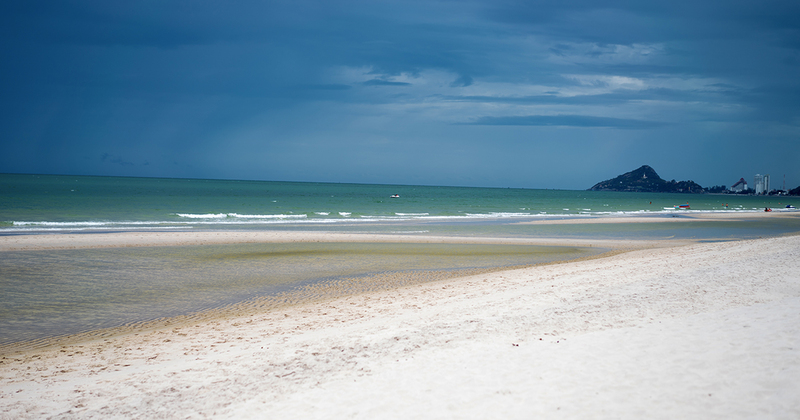 Pink Sky’s Managing Director has decided to take part in Swim22, a swimming challenge for Diabetes UK. 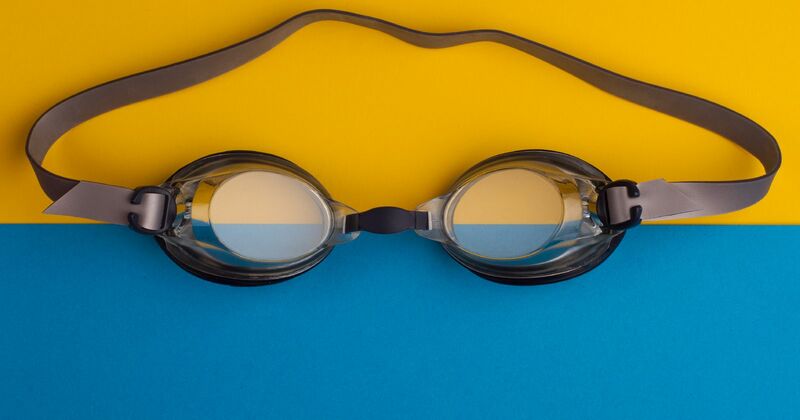 Participants have to “Swim the English Channel” – or rather swim 22 miles (36 km) in their local pool, during the 12 weeks from 22nd February to 22nd May. Sponsorship is sought for Diabetes UK, but swimmers will also benefit from increased fitness levels. We love an entrepreneur, and it has been a genuine pleasure to get to know Matthew Dashper-Hughes over the past few months in his new venture, Office Prime Supplies. 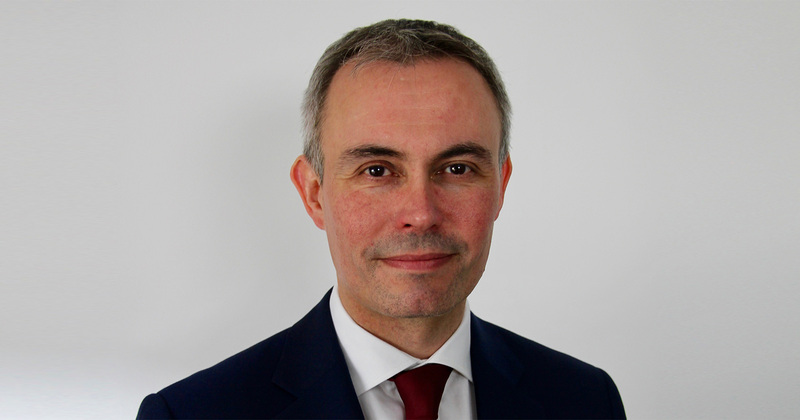 Some of you might have come across Matthew in his previous role as Chief Operating Officer at Ryman, but he now runs his own office stationery and supplies company, coupled with expert advice on large and small-scale operations, and superb personalised customer service. 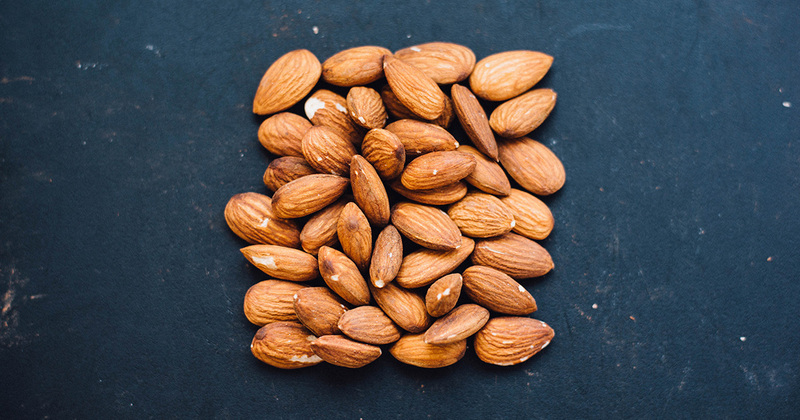 Pink Sky is excited to be designing and building a brand new website for the Besana group, global supplier of dried fruit and nuts, and chocolate products to retail, wholesale and food service. Besana is a family-owned Italian business that was founded by Emilio Besana in 1921, which is now based in Italy and the UK, and known for incredible products and innovation. 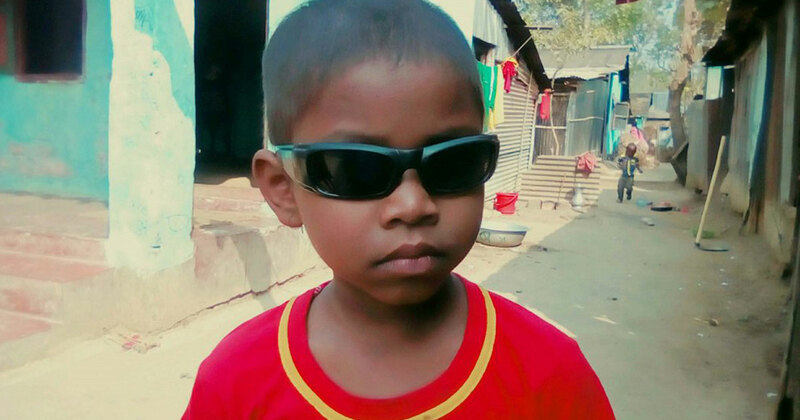 We have loved working on a new project this year for a brand new charity called Vision for Bangladesh. 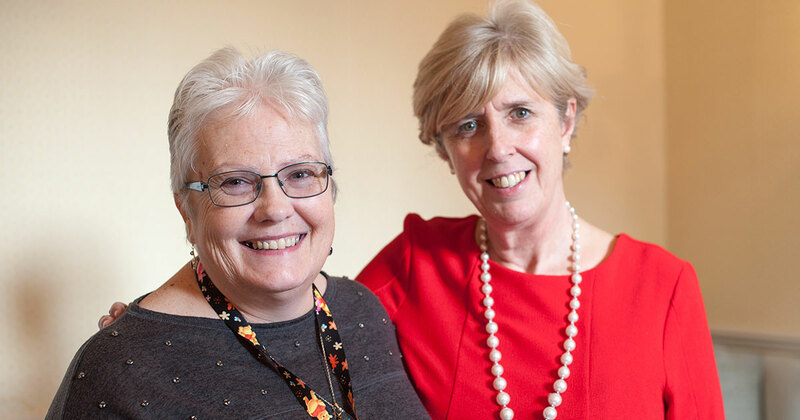 This charity has been formed by Rachel Andrews, who has recently retired from her position of paediatric Ophthalmic Sister at West Suffolk Hospital's Eye Treatment Centre in Bury St Edmunds, Suffolk. 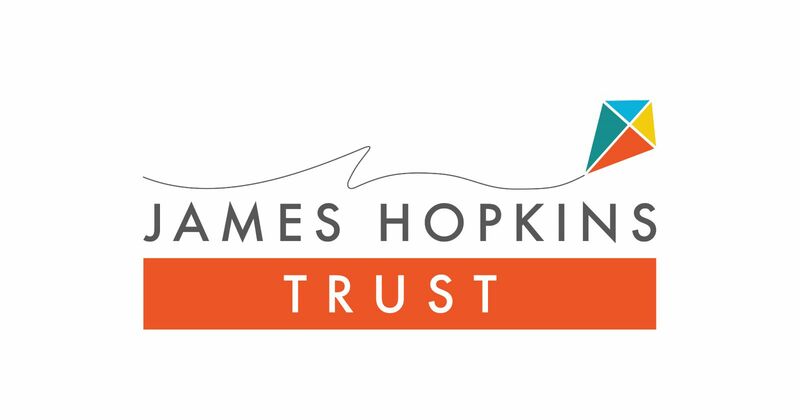 The James Hopkins Trust is a wonderful charity, that provides respite care and support for children with life-limiting illnesses across the whole of Gloucestershire. The trust began in 1989 and has helped over 500 children and their families. Over the past three years we have been working in collaboration with Marks & Spencer to promote seasonal fresh and dried fruit. 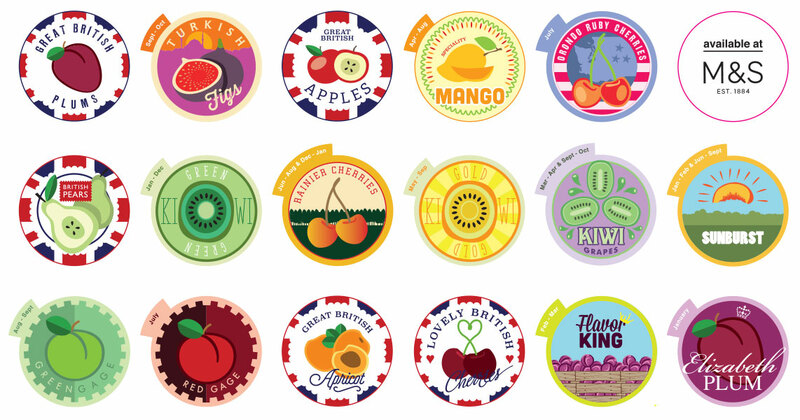 The campaign which is currently known as Adventures in Fruit is all about raising awareness of fruit in season, which is available to purchase in Marks & Spencer. 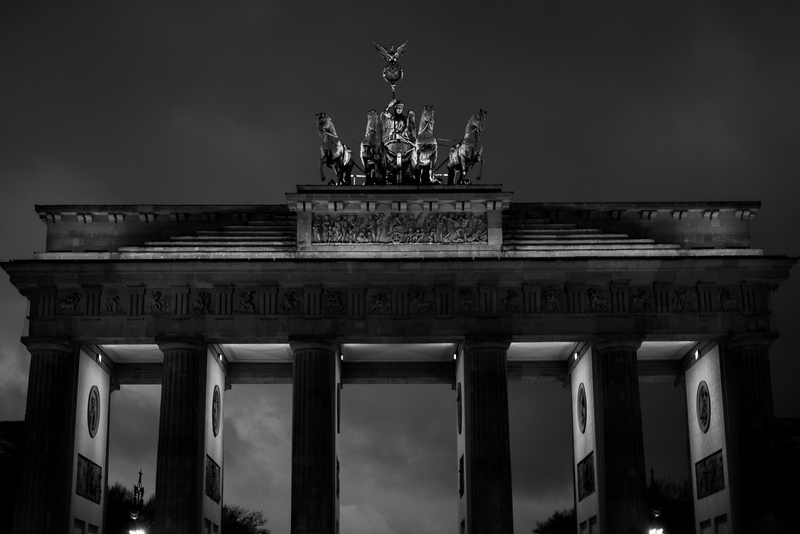 Fruit Logistica is fast approaching and we will soon be boarding the plane and heading to Berlin the the annual event. 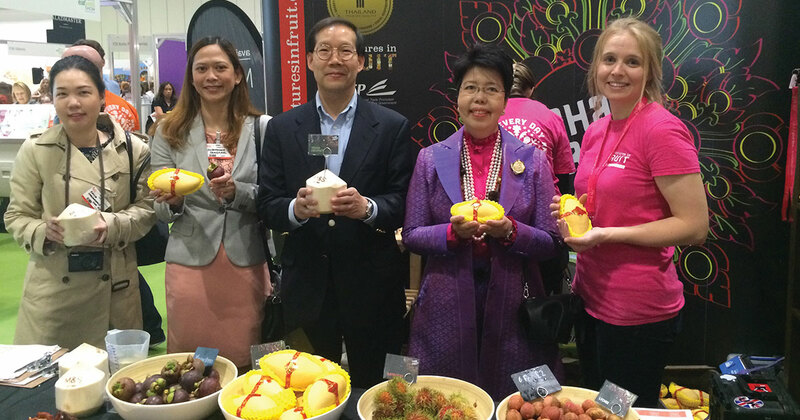 This event, held in the Messe, Berlin, brings together experts and pioneers of fresh produce from all over the world. 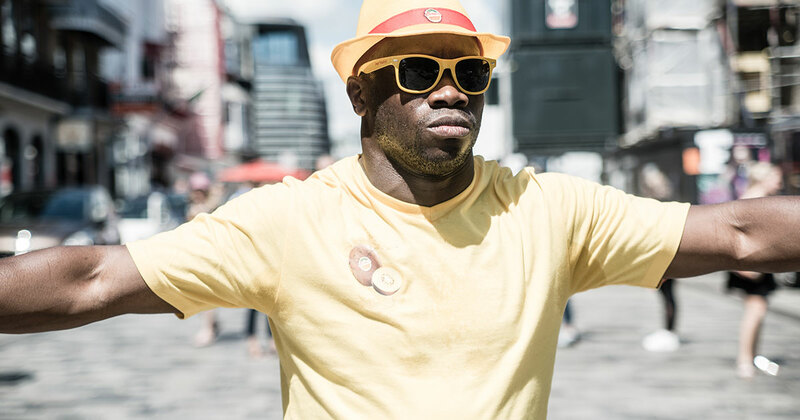 This event is so vast, that you can be walking for miles to cover everything that the event has to offer. 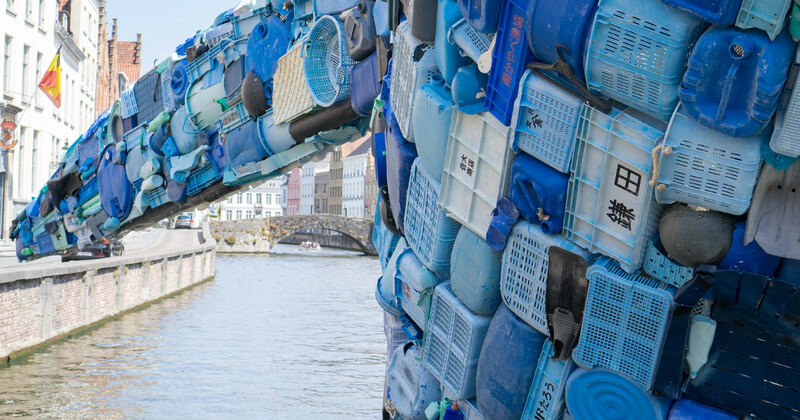 In recent years product packaging has taken a shift towards more environmentally sustainable options. It's a big shift, and in my opinion the right shift, but it will take some years to move fully to sustainable solutions. 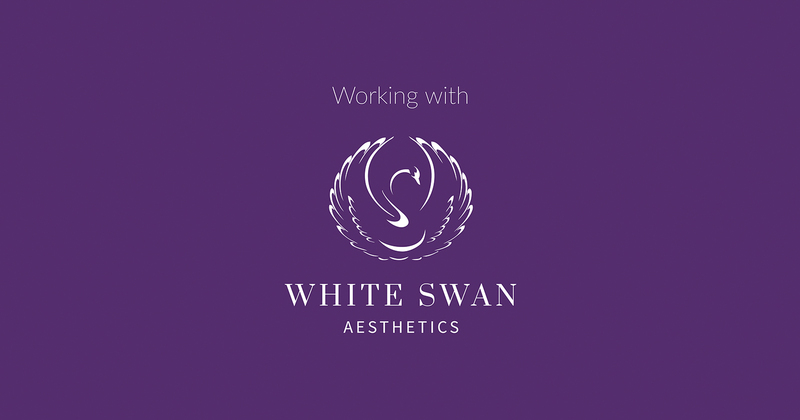 We are really enjoying working with White Swan Aesthetics to develop their website into something that really represents the quality of their treatments and the excellent service that they pride themselves on. Environmental issues are clearly at the forefront of everyone’s minds at the moment. 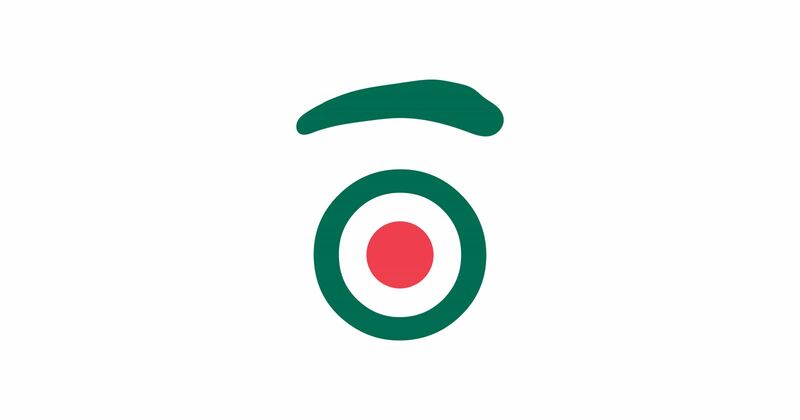 Reuse-a-pac is a company that seeks to solve the increasing problem of home delivery for fragile and bulky items, such as sofas, white goods and electronic goods. 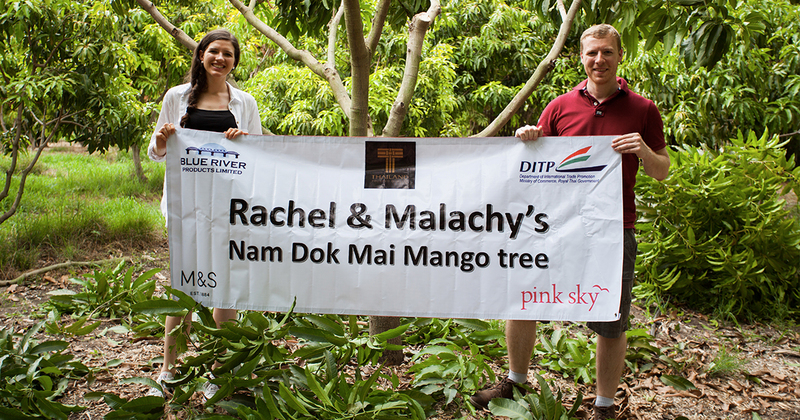 At Pink Sky we are always keen to do our bit to help with fundraising. Recently, we decided to focus our efforts on supporting charities close to home that we feel very passionate about. The latter part of 2017 was filled with decadent fashions that moved straight from the catwalk into High Street stores. 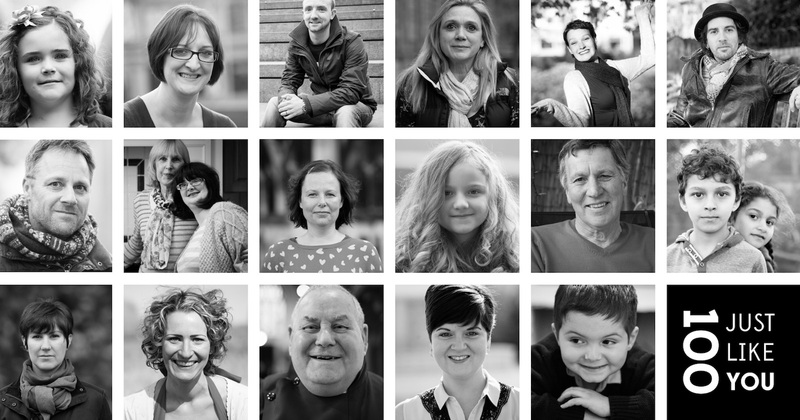 We have listed a few, and would love to know which you took part in! These ‘old school’, quirky enamel pins have been making their comeback since 2015 and now they’re everywhere. Pins are such an easy way to add personality to an outfit at a low cost. 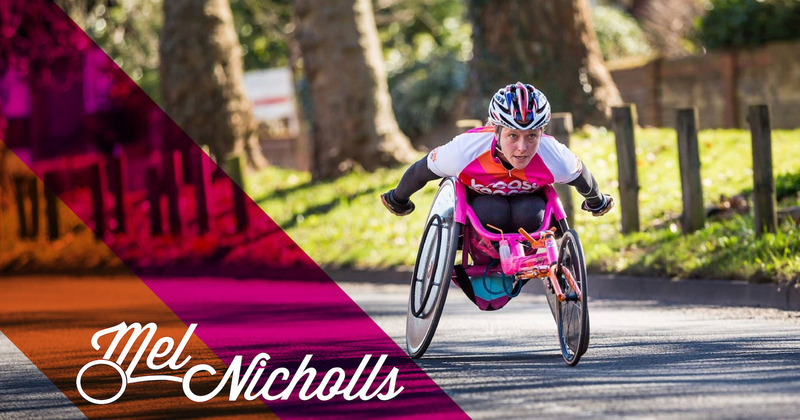 Pink Sky is very excited to be sponsoring and working with Great Britain’s Para-athlete Mel Nicholls. A truly inspiring woman that probably has more energy and drive than our whole office put together! 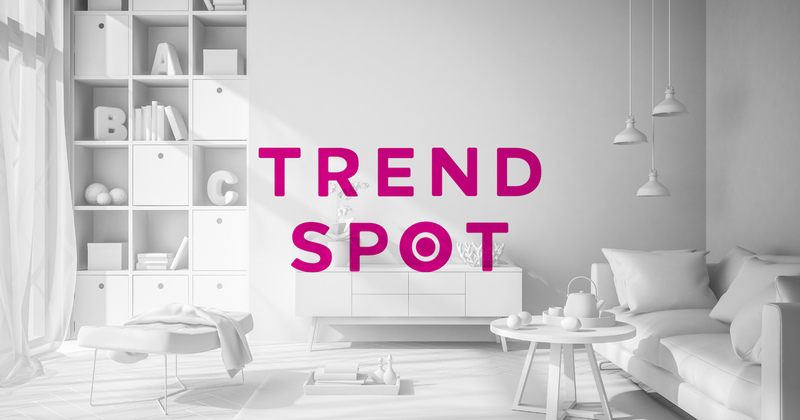 2017 was a great year for interior styling. 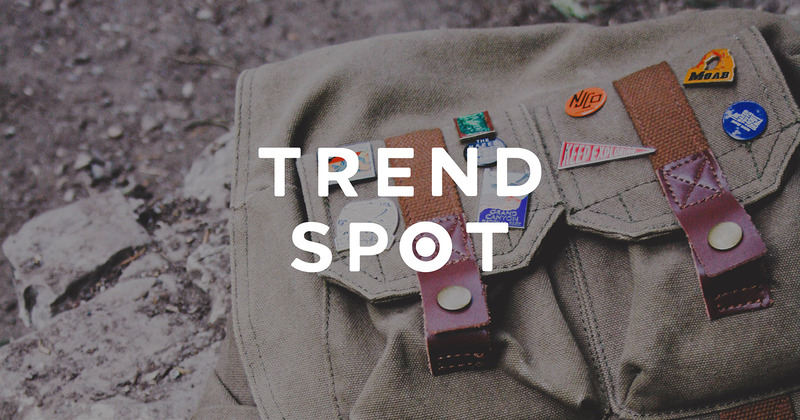 Let’s have a look back at the year and see what it brought us in terms of styling and decor. 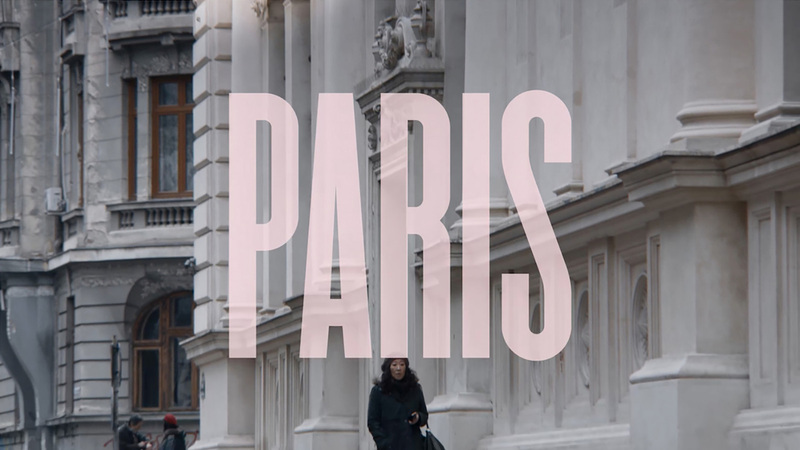 It all started with a brainstorming session to come up with an idea for a Pink Stunt. 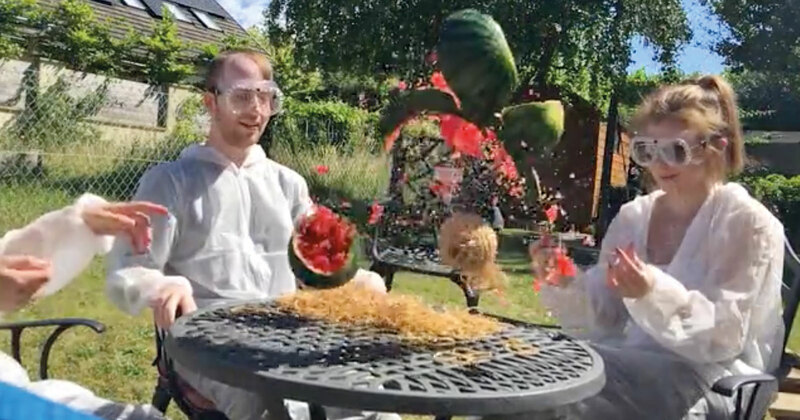 We love seeing other people's crazy stunts, so we took inspiration from a well-known one - blowing up a watermelon with elastic bands. Yes, you read that right, we hit a new level of crazy. 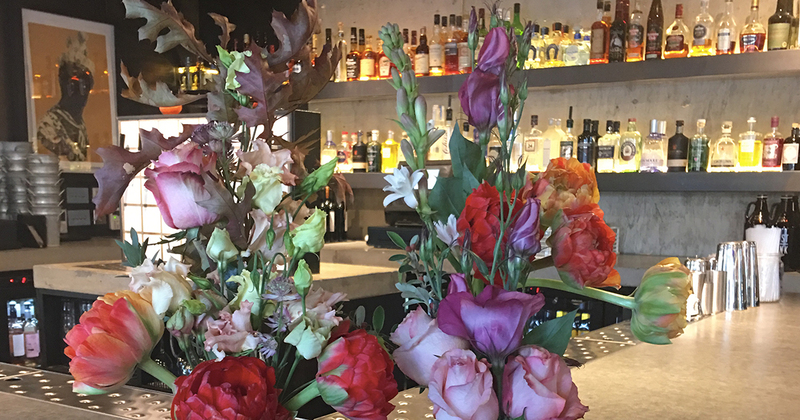 How To Turn Regular Flowers Into "Christmas Flowers"
Have you ever wondered what makes flowers into "Christmas flowers" at this time of year? We have put together this handy guide so that you can make your very own "Christmas flowers" that any reputable retailer would be proud of. 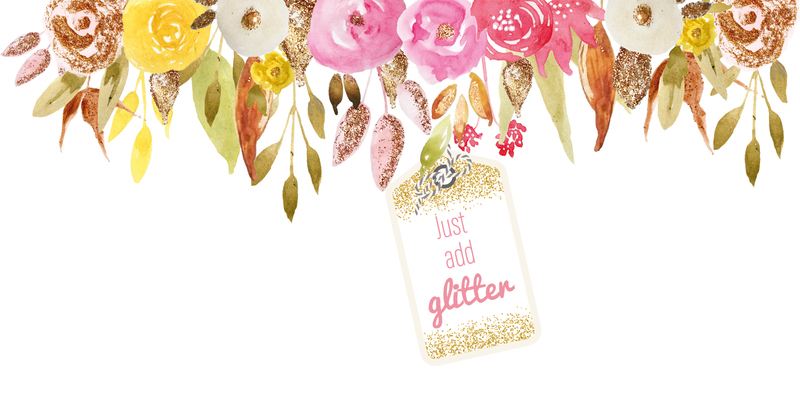 Just add glitter. 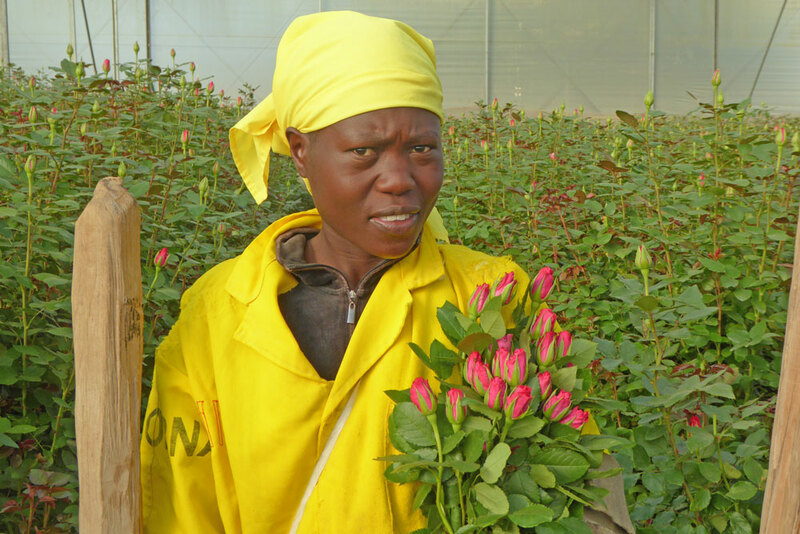 Pink Sky loves working with Nini Flowers in Kenya, which is made up of Nini and Lamorna rose farms, near Naivasha. 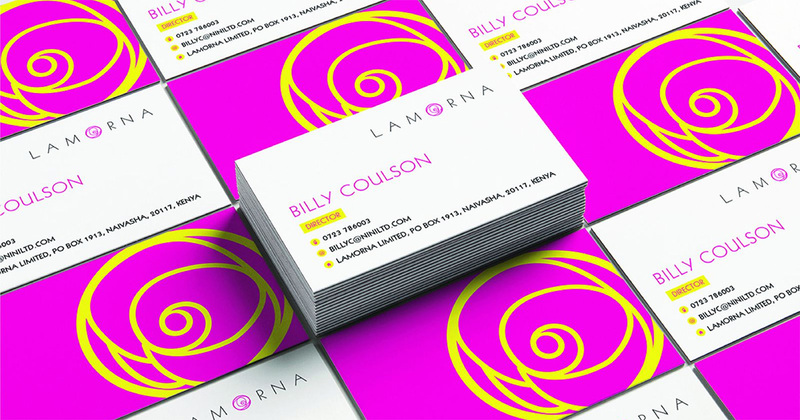 A number of years ago we branded Lamorna and Nini, working around a rose design that was split across the two identities in vibrant, clashing colours. Anyone who's worked with me knows two things: 1. I'm a detail person 2. I'm loyal to Twitter. 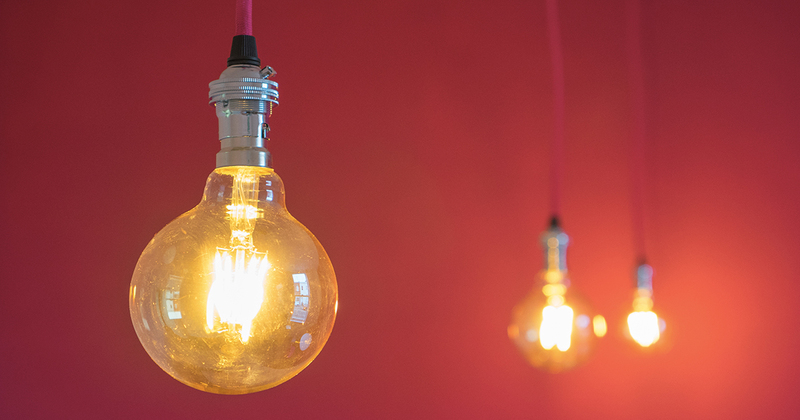 We designers are like magpies when it comes to pretty things and clever gadgets. 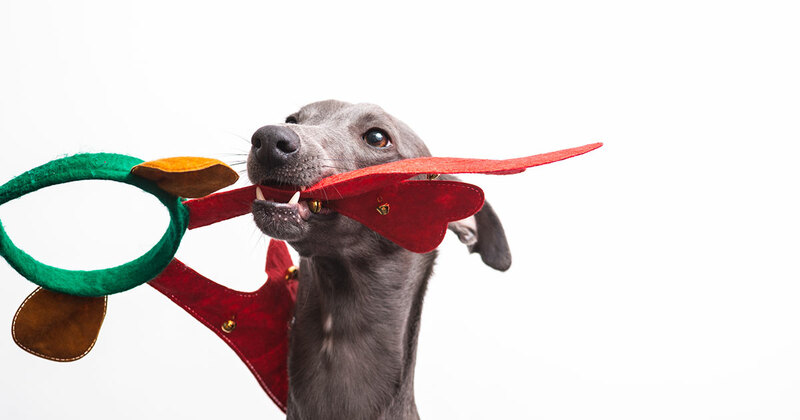 Do you have a designer in your life for whom you need to buy a Christmas gift? Let us help! 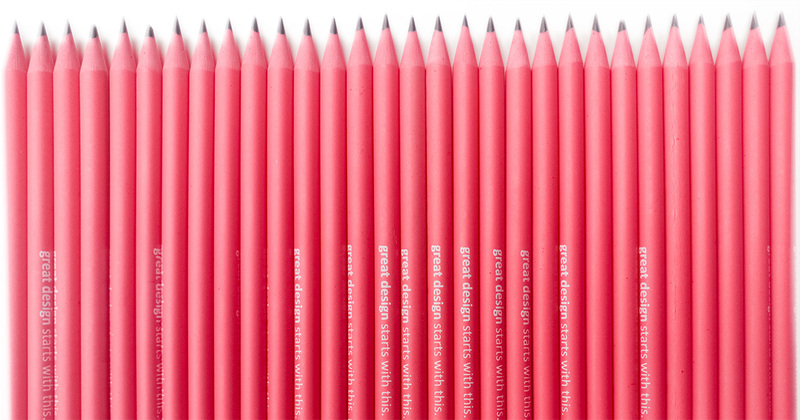 We have rounded up 25 of the best Christmas gifts that we could find for designers, to help you on your way. 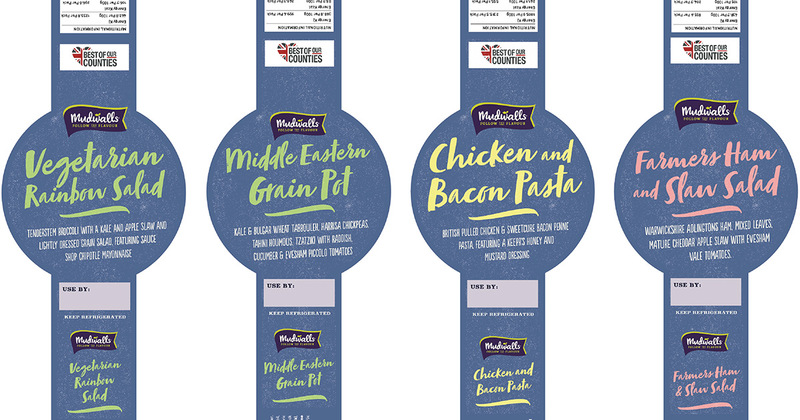 We have recently been working with dried fruit and nut producer Besana, designing packaging and labelling for their brand new range on Amazon, which launched last week. 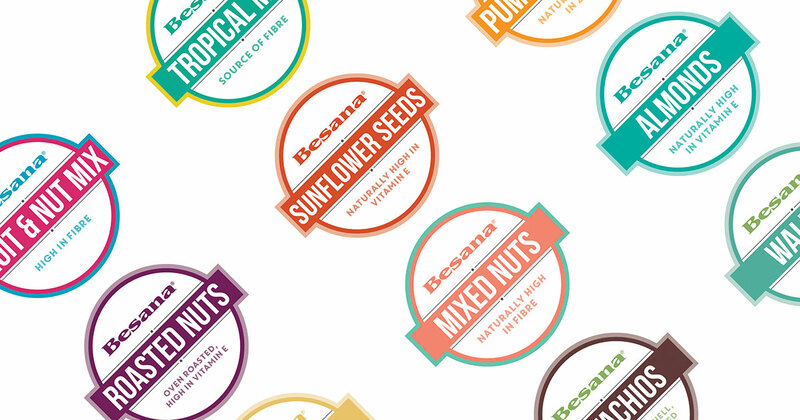 With 43 product lines, Pink Sky worked closely with Besana in both the UK and in Italy to produce labels that would stand out online and on shelf. The industrial revolution took 100 years, but now, thanks to technology, it seems like there is a new revolution every five minutes. The change happens, but the working out of its implications and possibilities still takes far longer. 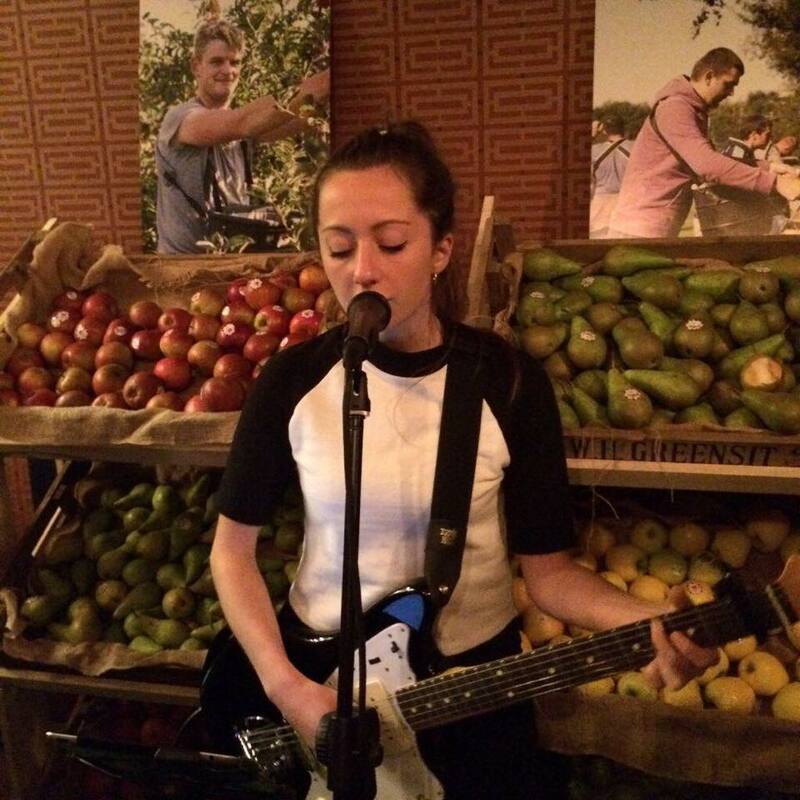 Fruit seems to always be at the centre at Pink Sky and our most recent promotional weekend was no different. The fruit in the limelight this time was kiwi berries. This was a project that brought great excitement throughout the office. 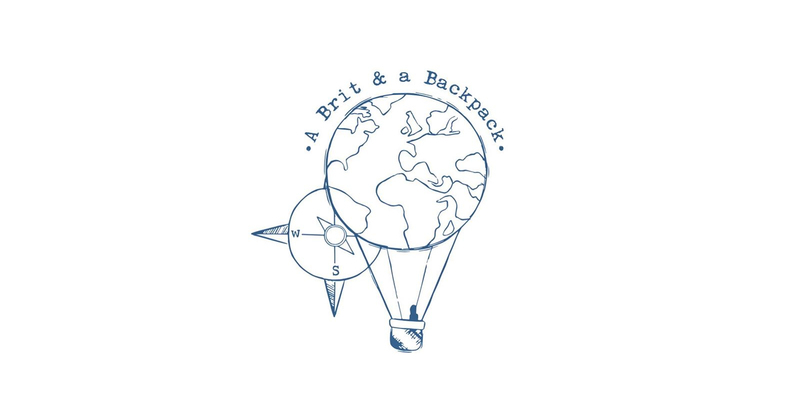 When Sarah-Jayne approached Pink Sky to create a brand for her travel blog we knew this would be a good one. 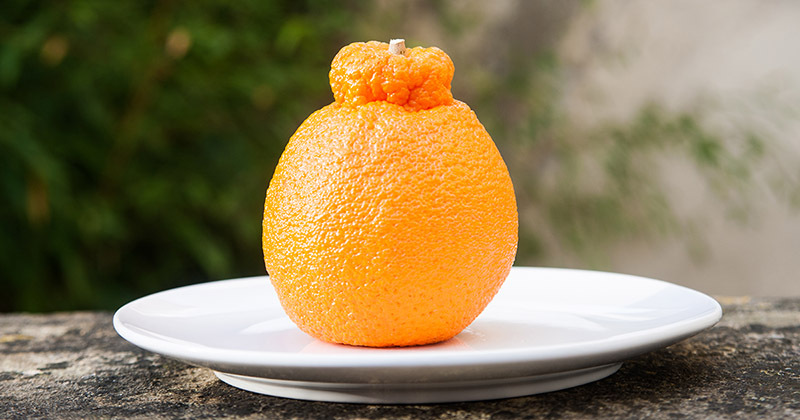 As part of our ongoing campaign, Adventures in Fruit, we have been promoting the unique Sumo citrus through various digital marketing methods, such as social media, website and marketing email. 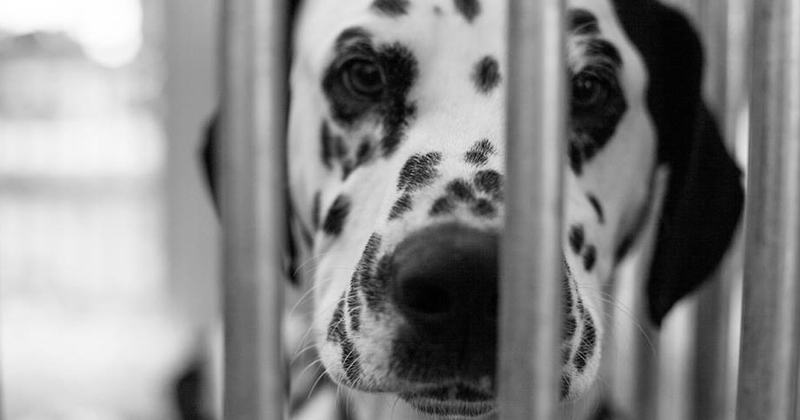 We have recently had the pleasure of working with Pittville Pets in Cheltenham to create a new brand and marketing materials. 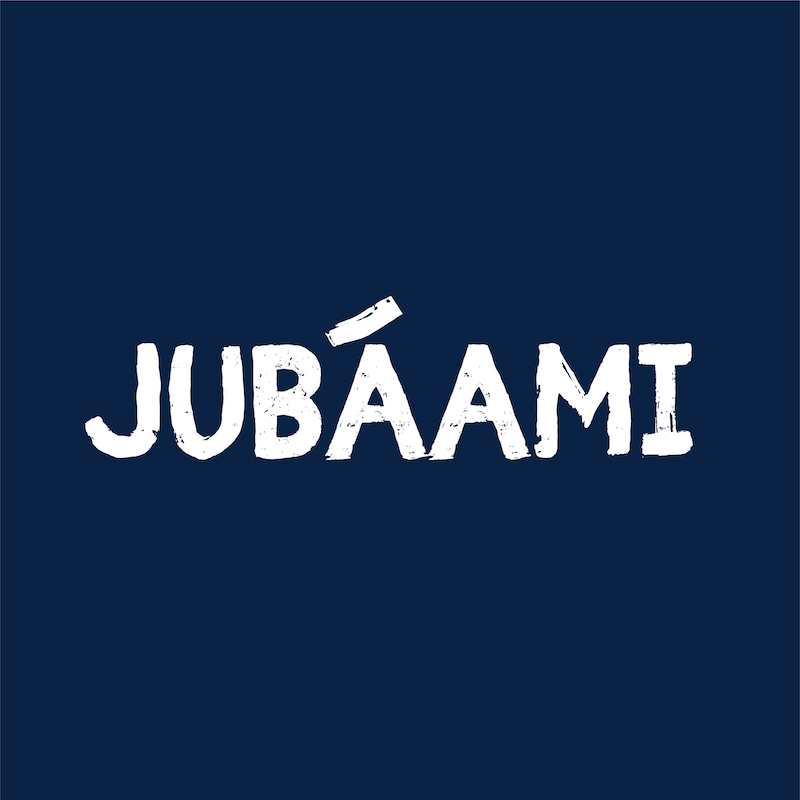 Jubáami energy bars are the first aztec energy bar made from Mexican blue corn. 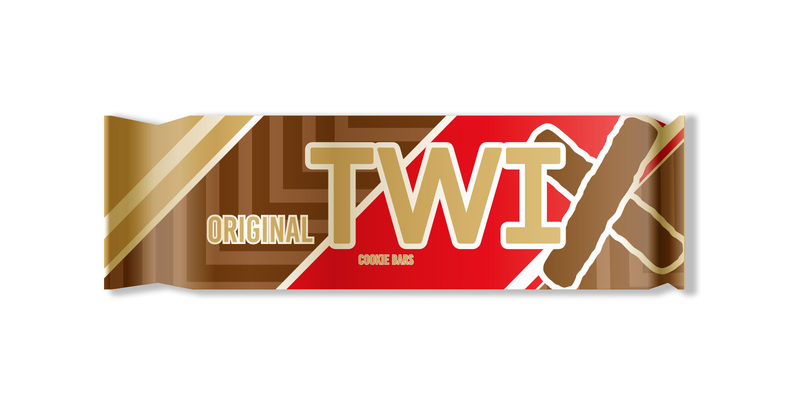 Each bar is made using healthy ingredients, such as chia seeds, amaranth and agave syrup. 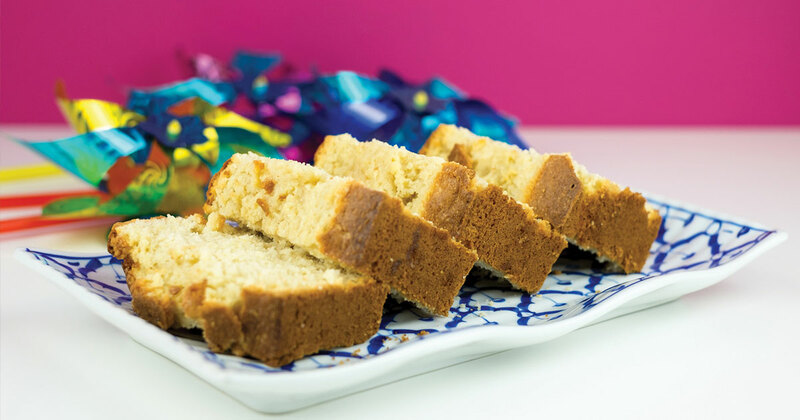 The Jubáami bars come in three flavours: berry, peanut, and chocolate, and all of them are vegan, gluten-free, free from refined sugar and kosher. 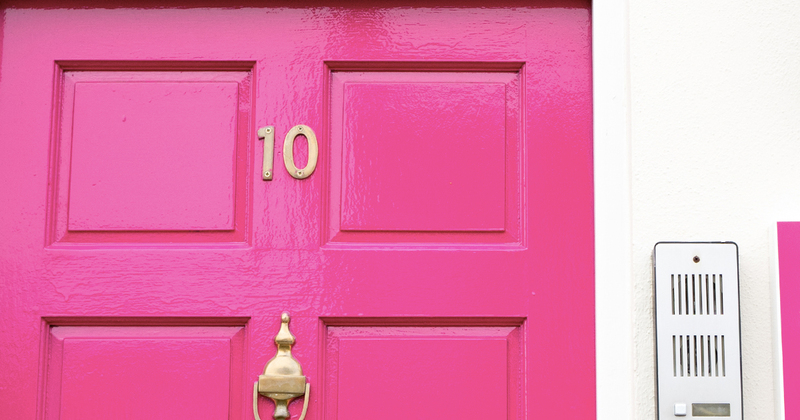 Pink Sky is very excited to currently be working with Vinegar Hill on its marketing strategy. 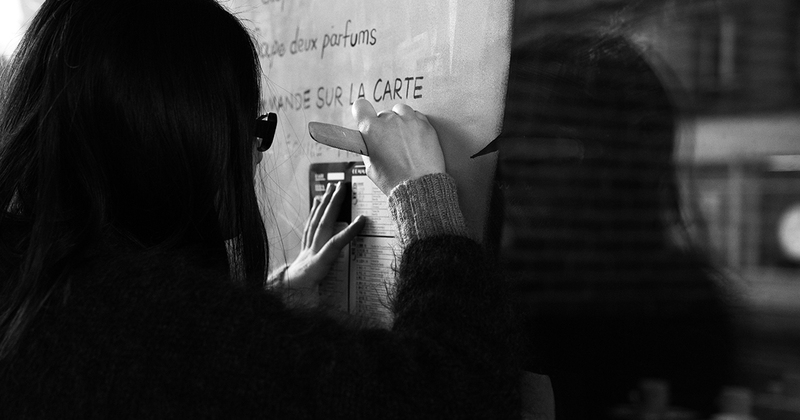 We had a great time rebranding Lucy’s craft business. 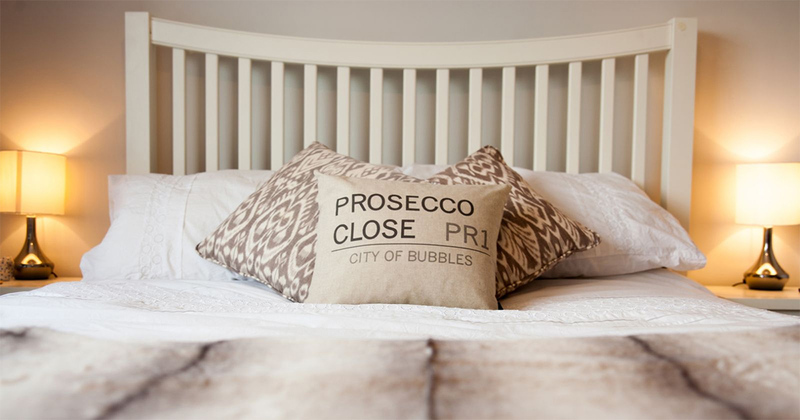 Lucy has a talented hand for creating beautifully personalised gifts for any occasion. From personalised bags and memory frames to beautiful paintings and cards for occasions. 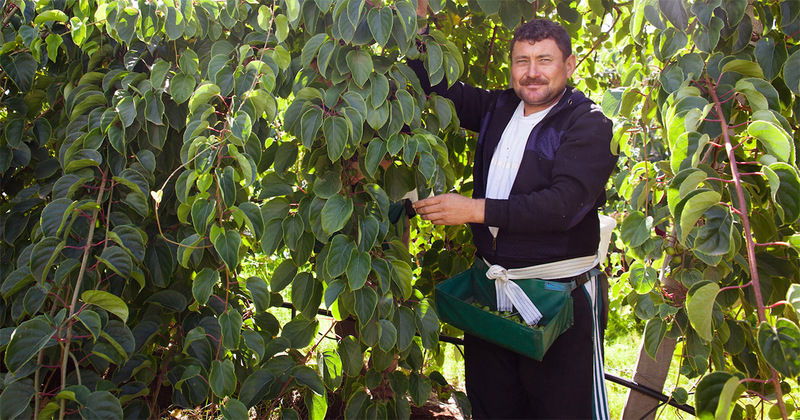 Last month we were invited to visit Wye farm in Ledbury with berry supplier, BerryWorld. We met BerryWorld Technologist, Victoria Eltringham to look at the progress of the Kiwi berry and strawberry crops for Marks and Spencer. Despite ‘classic’ British weather that saw the public of Cheltenham take to the streets in shorts, flip-flops, rain coats and umbrellas, the Cheltenham Paint Festival managed to significantly brighten an otherwise fairly dismal weekend in our Cotswold town. 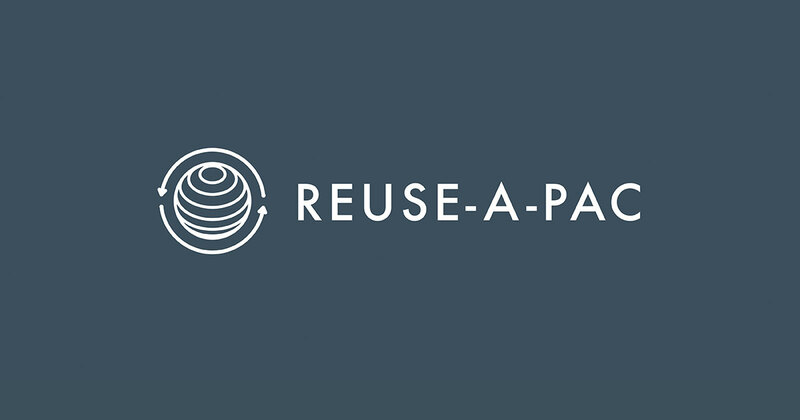 This week we’ve had the privilege of working with a company called Reuse-a-Pac to develop a logo and website for their expanding business. The evening of Tuesday 25th July unfolded in glorious sunshine. An impeccable garden in Kensington was transformed by an Oriental style pergola, decorated with cherry blossoms and hung with paper lanterns. We feel very fortunate to have had intern Amy Cox with us for a couple of weeks here at Pink Sky. 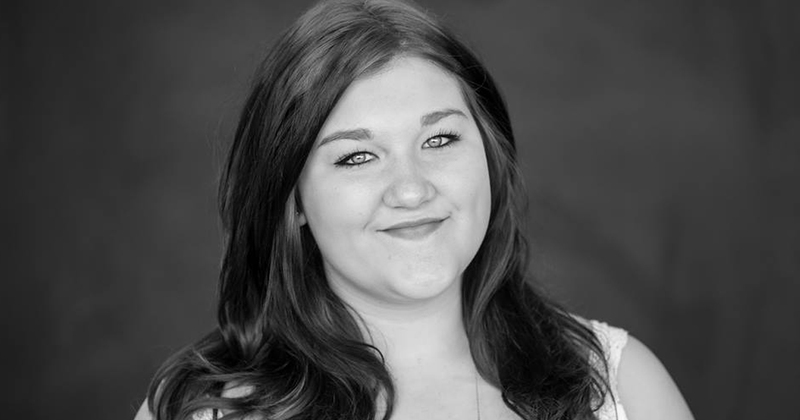 Amy is extremely proactive, with an excellent work ethic and is also hugely creative. 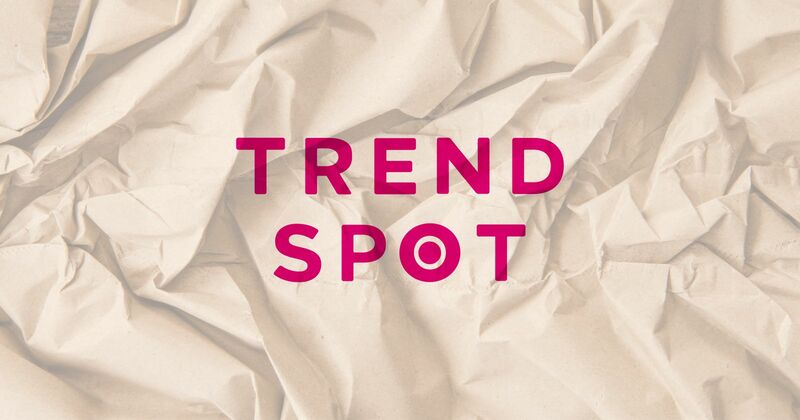 Amy has just finished her second year of university and we asked her to create the first of our Pink Sky trend reports, on a theme of her choice. 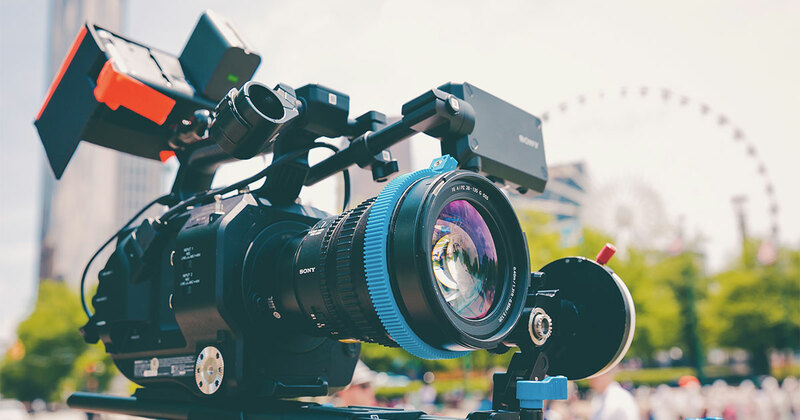 Video marketing is becoming increasingly popular, enabling businesses to capture the attention of their audience in a few seconds. 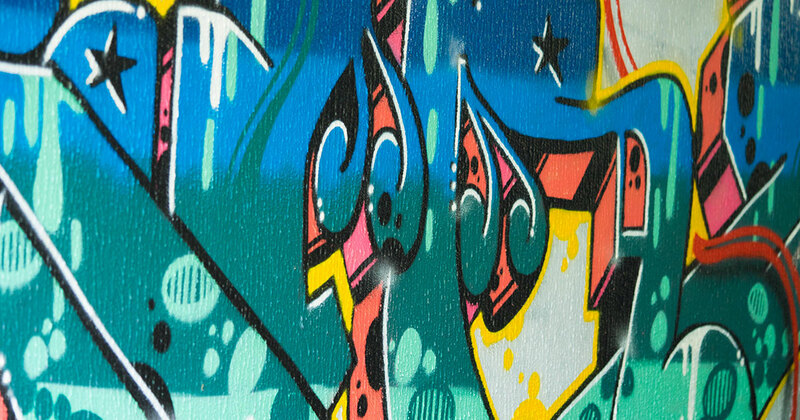 Having visually appealing and engaging videos can influence new and existing business. We are very fortunate to be doing some work in Amsterdam at the moment. 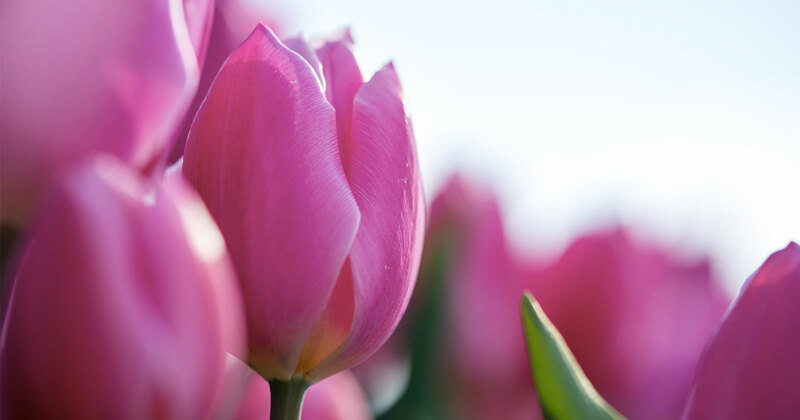 For a long time, Naomi has had on her list of ambitions, to visit the tulip fields of Amsterdam. 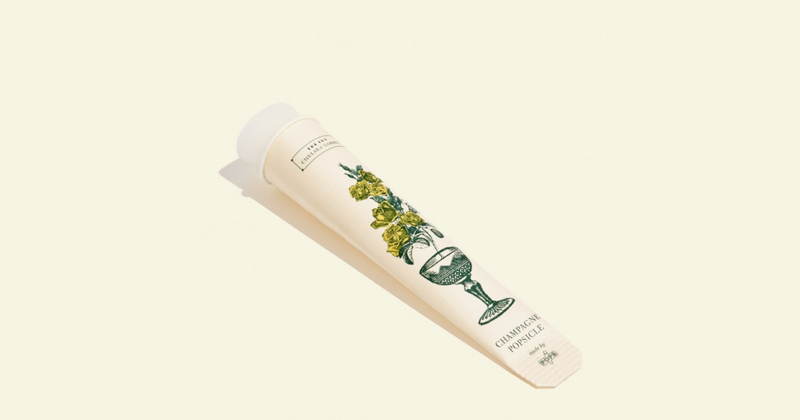 Packaging is is an important part of marketing a product, as it is a way to get consumers to notice the product. Customers are always drawn to something that looks good. 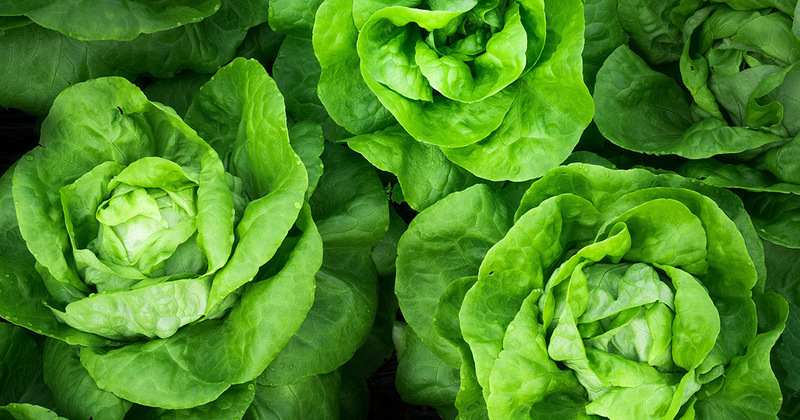 We are really excited to be working on an amazing new project with fresh produce quality monitoring company Innovative Fresh, which operates across seven European countries and fifty retailers to raise the fresh produce experience for consumers. 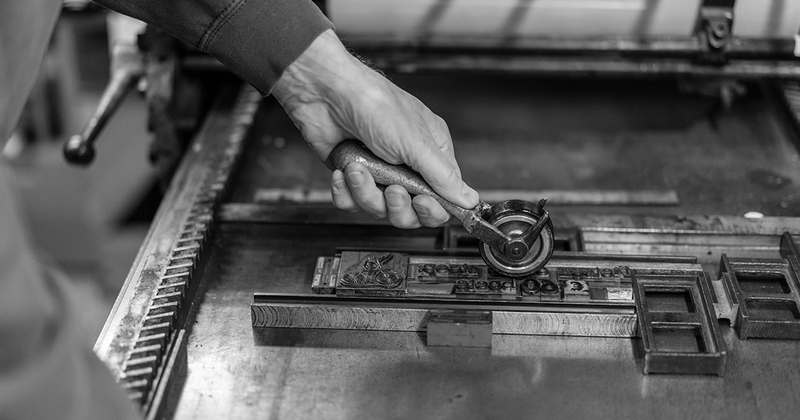 Hidden amongst the canals of Amsterdam is a charming little print shop, called Typique. 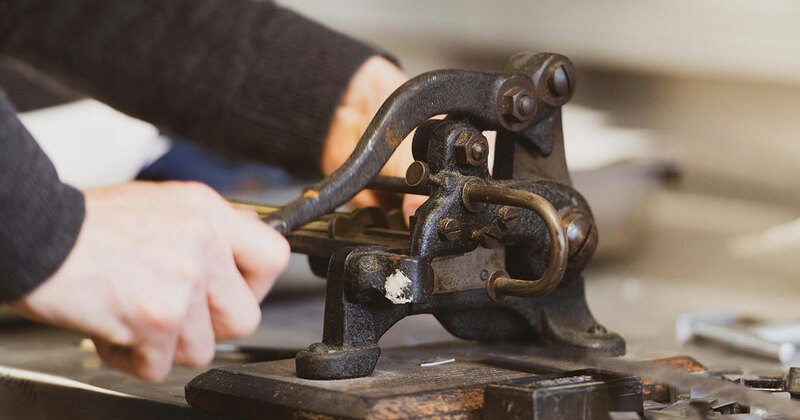 It is the studio and creative cave of pressman René Treumann, who has been involved with letterpress and screen printing for 50 years. My name is Pablo Gallut Pérez and I’m from Santander in the north of Spain. I’m 22 years old I'm very curious, chilled, I am a foodie and a Taurus. 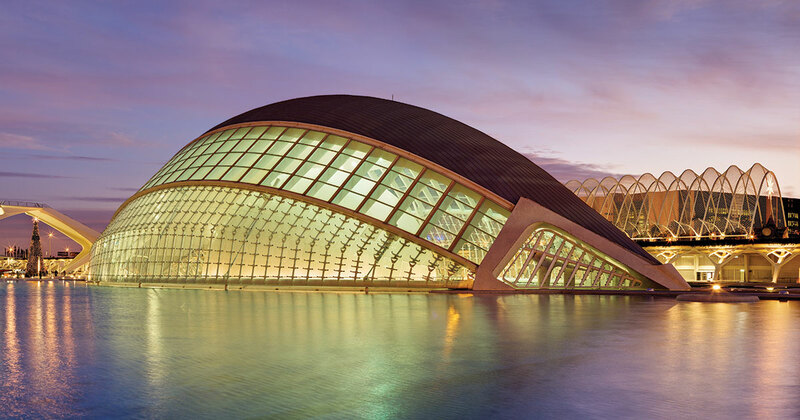 In honour of the 2017 Milan design week, we have rounded up 15 stunning yet somewhat overlooked buildings across the world. From NYC to India, the world is full of beautiful and interesting buildings. 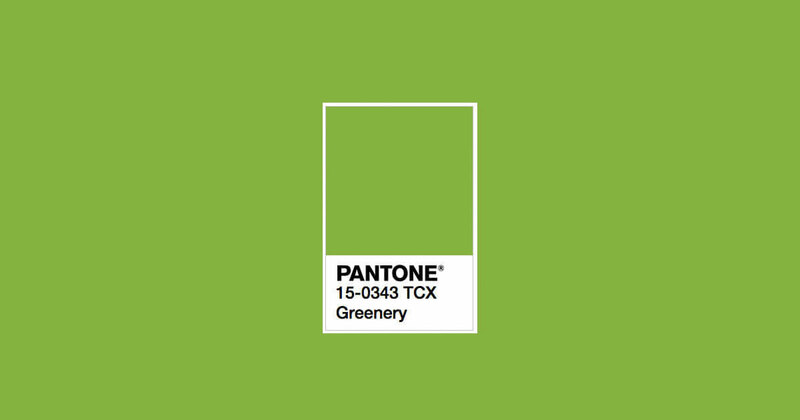 “A refreshing and revitalising shade, Greenery is symbolic of new beginnings.” After a pretty rocky 2016, I think this is a very relevant description for many to sum up 2017 so far, a new beginning. This is so clear to see in the trends of 2017 so far. 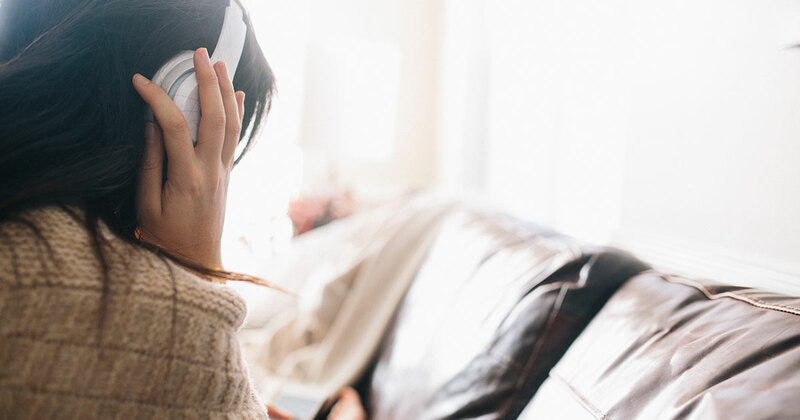 If there’s constant bickering over what radio station is played throughout your office, then look no further as we have compiled 100 perfect songs to suit anyone’s tastes and needs. Water bottles are becoming very fashionable and can make quite a statement. 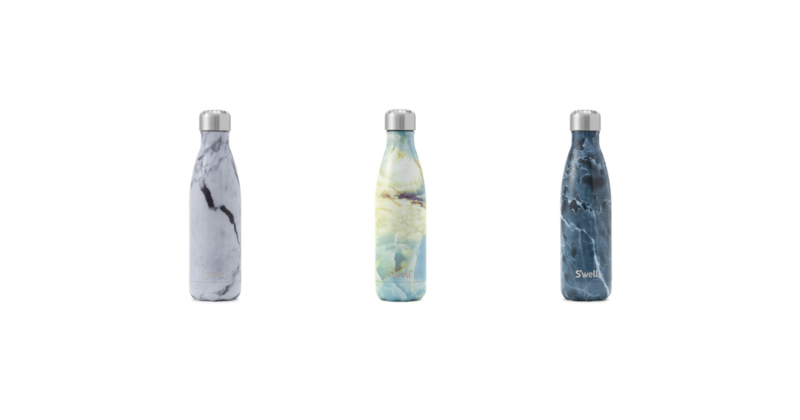 Whether it’s to take to the gym or work, there is most definitely going to be a water bottle out there to suit everyone’s needs, so Grace has been having a look at what is on the market. 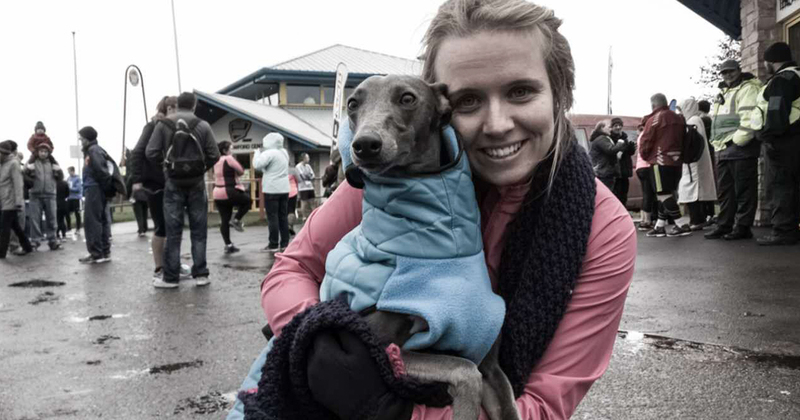 This year I (Naomi) am undertaking a 1000 mile challenge, courtesy of Virtual Run UK. 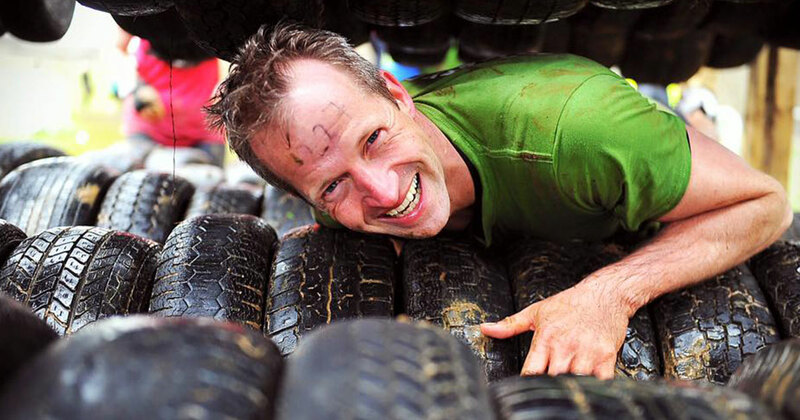 It sounded like a great way to keep fit in mind and body when I signed up to it, whilst also being a great challenge. 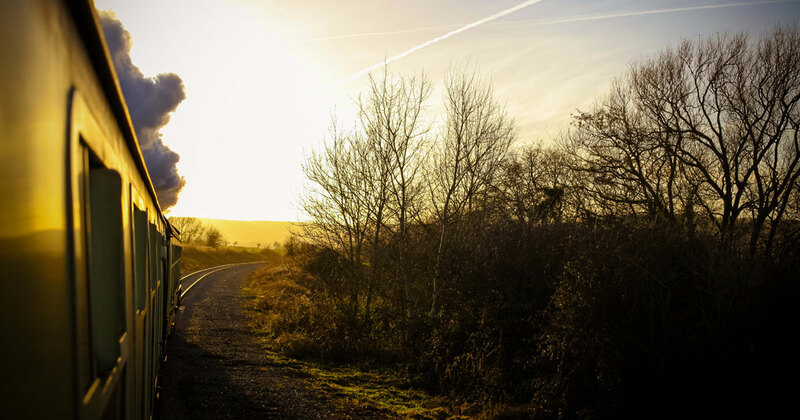 It was only when I stopped to do the maths, that I realised that this would mean running at least 31km per week, which can very quickly add up to many more kilometres if you go away and miss out on your running! It is always great to see our work out in the real world, particularly at an event as prestigious as the London Classic Car Show. 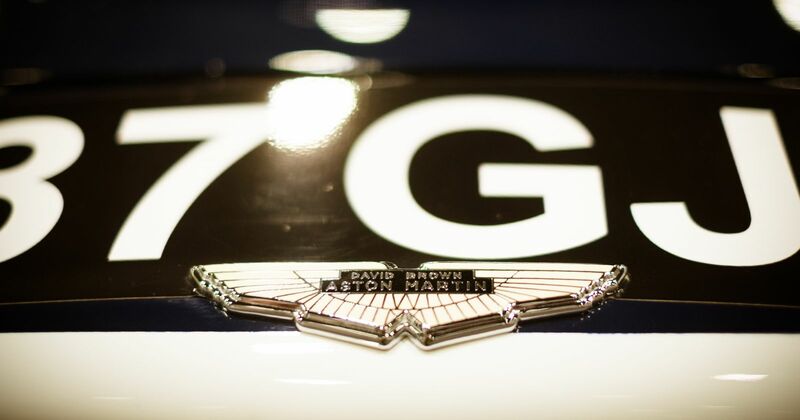 JBR Capital offers “Tailored finance for luxury, classic & high performance cars”. Naomi has started a new 20% day project inspired by a trip to the Bauhaus, where she saw a series of approximately eight or nine photographs of the hands of artists. Inspired by the idea of portraiture just looking at hands, she devised a new photography project called “Handwerk” (which roughly translates as “craft”). 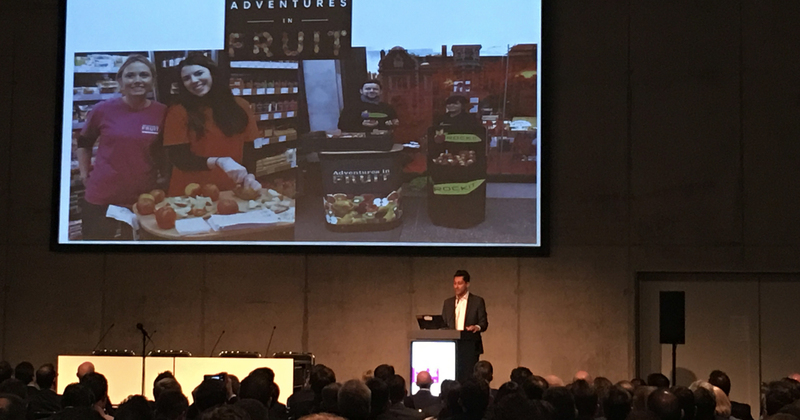 We recently visited Fruit Logistica in Berlin with the specific intention of delivering presentations, attending meetings, and examining the trends and challenges within the produce world at present. 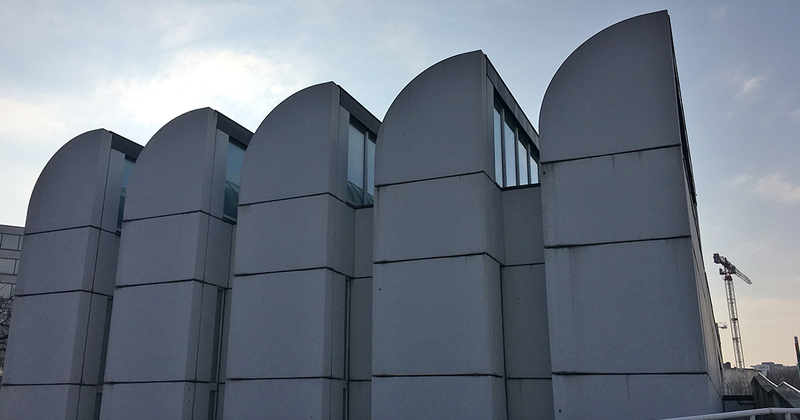 On a recent trip to Berlin it was a real treat to visit the Bauhaus Archiv, one of several centres around the world that commemorates the famous Bauhaus School of Art, Design and Architecture. Open between 1919 and 1933, this innovative collection of pioneering minds shaped much of design culture that we know today. 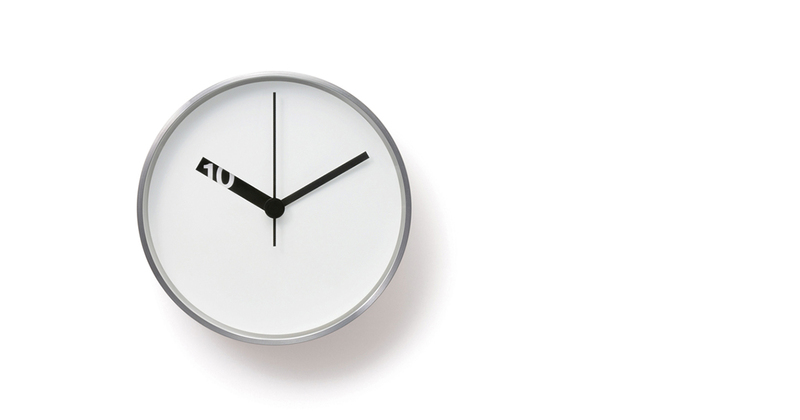 Is it just us, or is it really difficult to find a really good wall clock? Finding a clock with beautiful design is no easy task and as they can be such a statement piece, it is very difficult to find the perfect addition to your wall space. Pink Sky has conducted extensive research on this subject and has come up with ten wall clocks with beautiful designs, to suit different budgets. 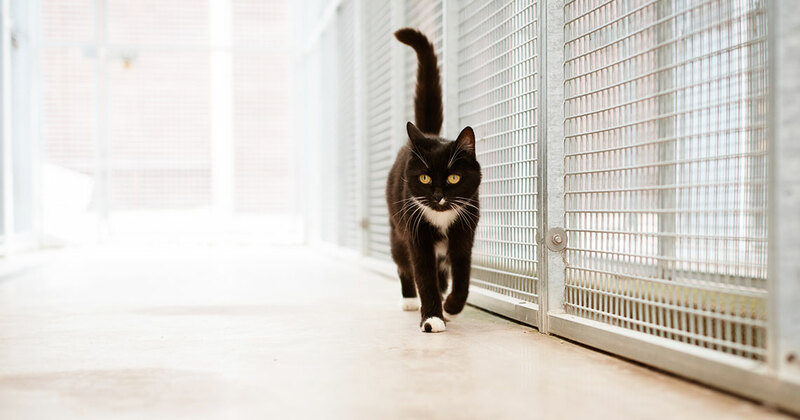 It is no secret that cats are by far the best thing on the internet, and that whilst we all try so hard to find that latest design or marketing trend, the reality is that if you just add a cat to it, your likes and interactions will soar. Every day on social media seems to be a special kind of day and apparently today is no exception. We’ve all had those days where we’re just not sure what we’re doing wrong with our makeup, whether it’s dark circles under the eyes or contouring is just simply wrong. We’ve all been there, but hopefully, these next tips will help banish those mistakes and help makeup application run smoother. 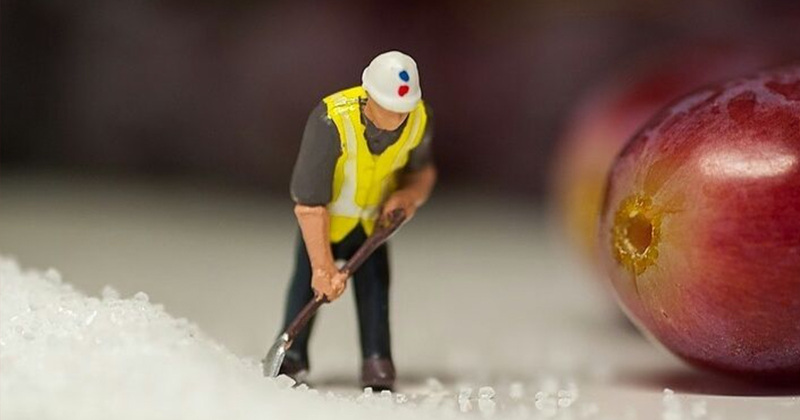 There have been a number of items that have been high on the agenda at Fruit Logistica this year, including sustainability, health and innovation. 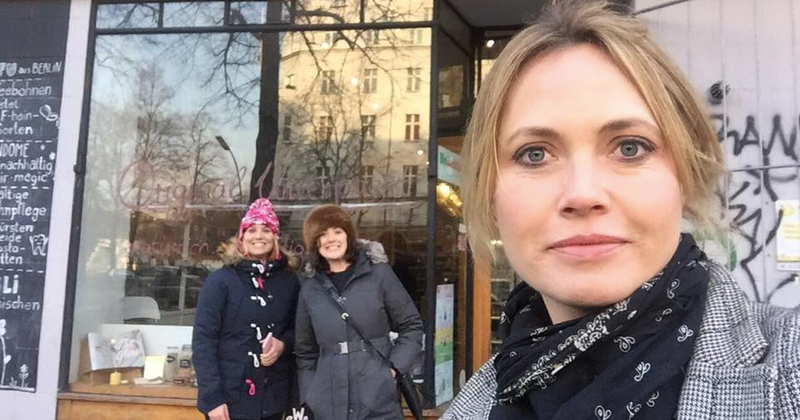 Today we visited Original Unverpackt in Berlin to check out a small store that is driving prices down by selling 'unpacked shopping'. This is a fascinating concept as it allows people to fill paper bags and jars with food, cosmetics, washing powder and all sorts of other products. How do you manage cashflow in a business and ensure that at all times you have jobs of differing sizes to serve different purposes? 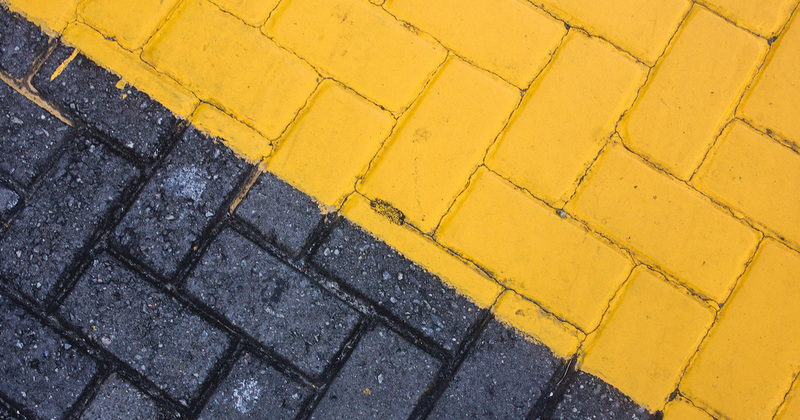 This is a constant battle within any business and the solution is never straightforward. Sarah has just started her Business Administration apprenticeship with us here at Pink Sky. We decided to ask her a few questions so that you could get to know her. We are looking forward to seeing how Sarah gets on during her first few weeks here at Pink Sky! 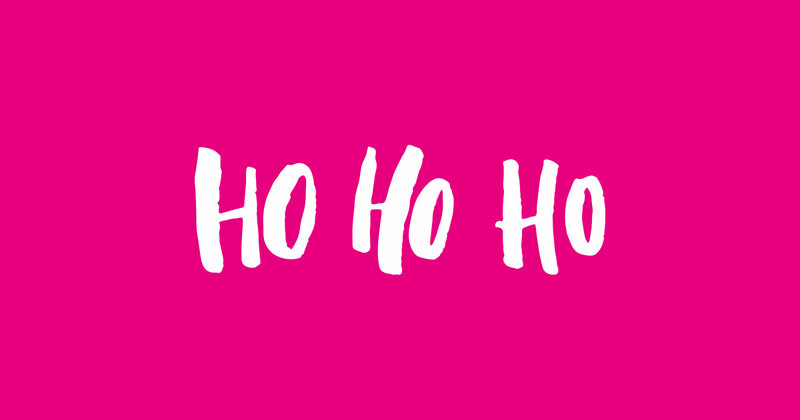 Here at Pink Sky we have a tradition of designing crazy christmas cards. 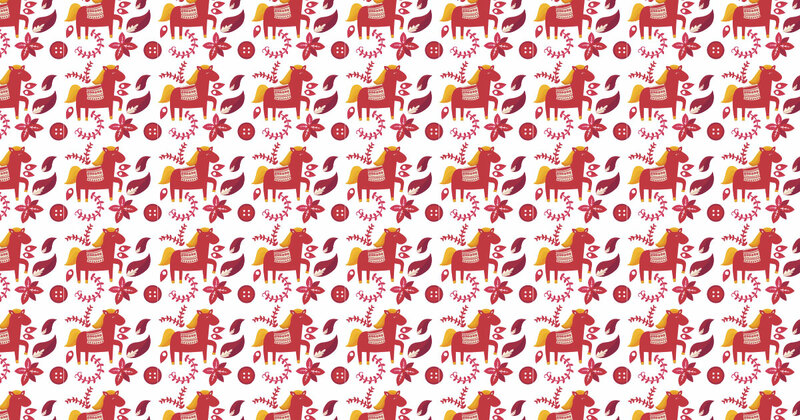 You might remember various classics such as the 1950’s family Christmas dinner, or the Christmas jumper pattern. However this year we thought we would keep it simple. 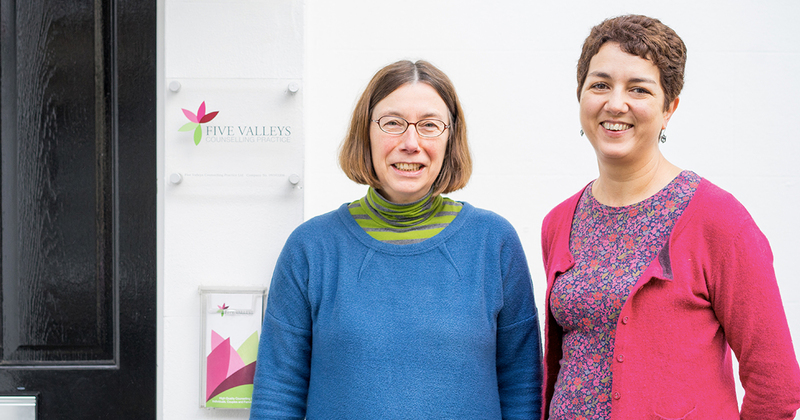 It was an enormous privilege to finally visit Five Valleys Counselling Practice, whom we created a brand and built a website for a couple of years ago as they started. 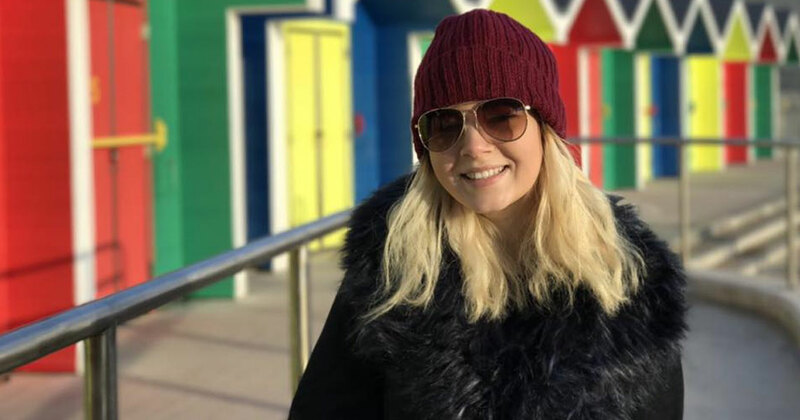 We are extremely proud of Grace, who has completed her advanced apprenticeship in marketing and been offered a full time role here at Pink Sky. We're always looking to bring you not just the best fruit in season, but sometimes we also try to share something extra special, especially at times like Christmas. We have been making some improvements at Pink Sky! We were privileged to have been invited to an M&S party in London to celebrate a great half year for produce. 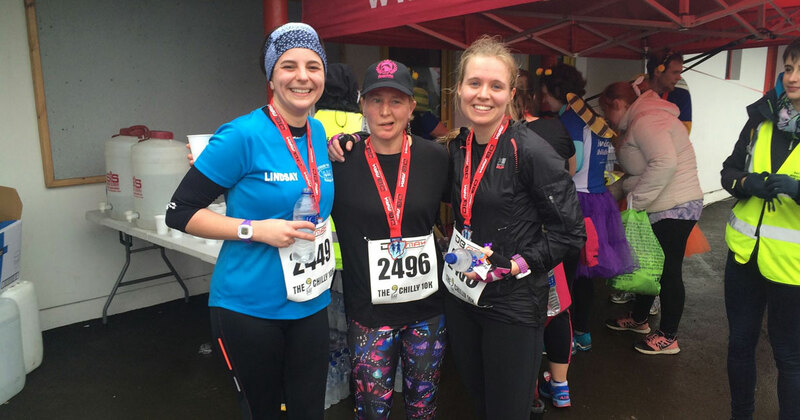 This year Naomi has been working on her 10k running distance to try to improve her base fitness and also in an attempt to fight asthma by training her lungs to work harder in the first few kilometres, which can be very difficult to run through. 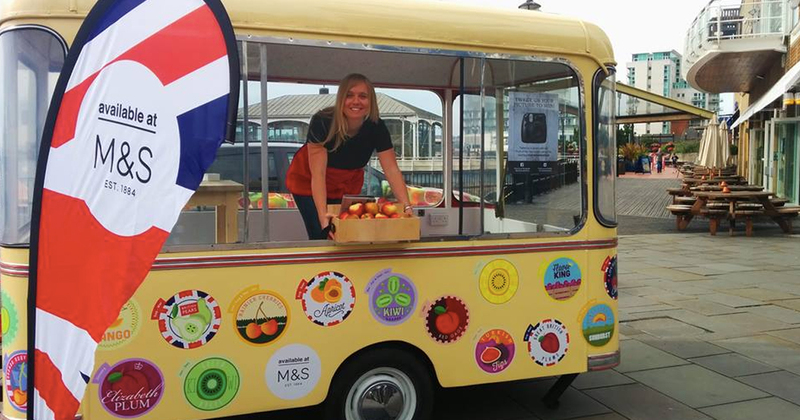 Our fruit adventurers have had a very busy weekend promoting the British apple and pear season, which is now in full swing. The other day we visited a new restaurant in Paddington called Heist Bank. 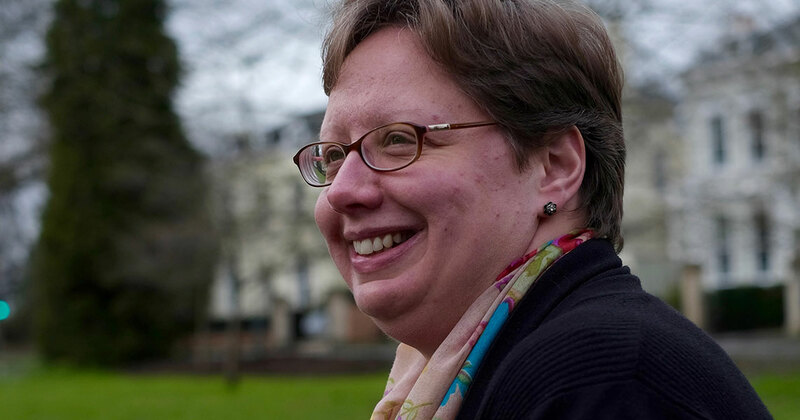 We have recently welcomed Ali Mayes to our team, as our book keeper. Ali is a really valuable part of Pink Sky and we thought we would ask her a few questions so you could get to know her. The Jo Malone brand is discussed regularly in our studio and the terms ‘high-end’, ‘luxury’ and ‘sophistication’ usually follow. 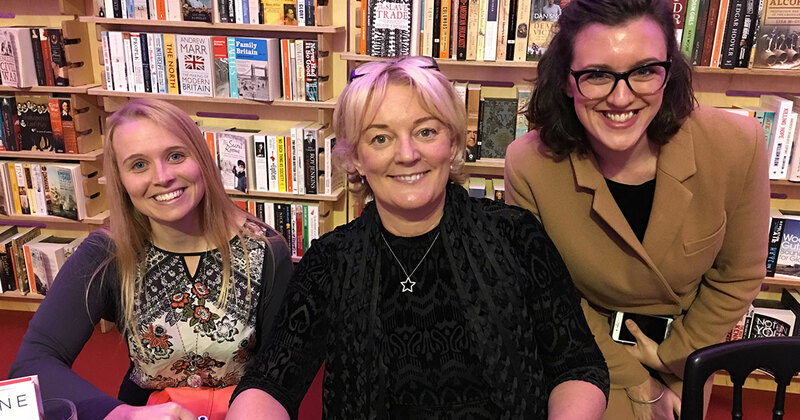 When we heard she was talking at the Cheltenham Literature Festival we just had to check it out and we were not disappointed - what an inspirational lady! 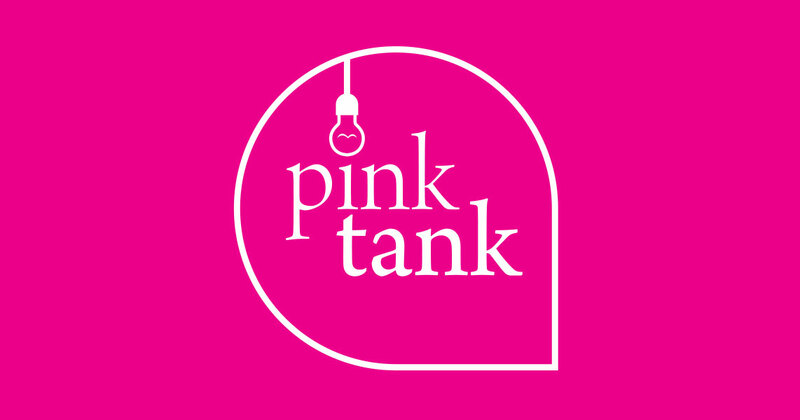 Pink Sky are very familiar with conducting market research for a variety of our clients, but we have recently be very proud to complete our first ever mystery shopping report. 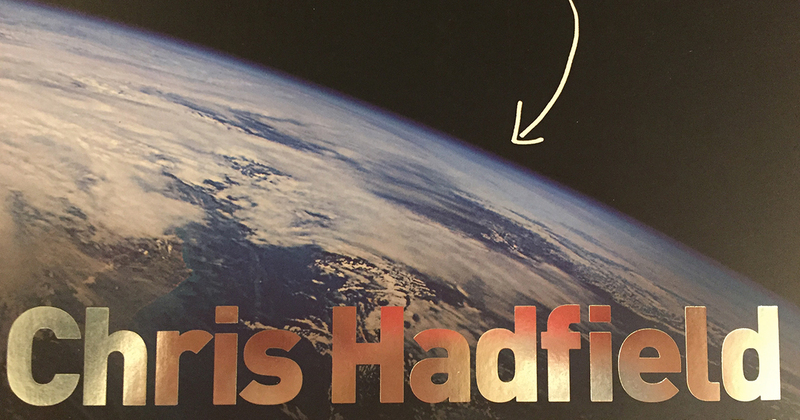 It is always slightly embarrassing when you get over-excited looking at the brochure for Cheltenham Literature Festival, since there are so many fantastic talks on offer by some of the world’s most inspirational people, but you don’t read the descriptions properly. 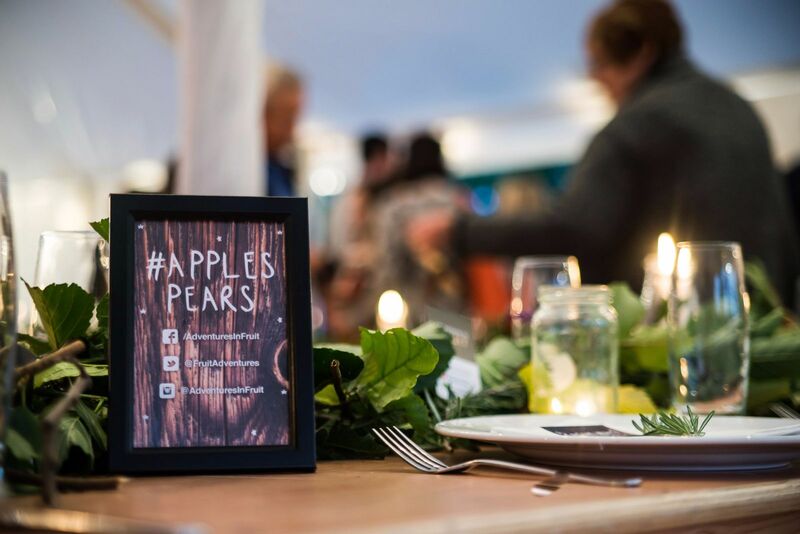 Last Thursday we hosted a Secret Supper Club for bloggers, fruit suppliers, farmers and M&S buyers in celebration of the launch of the 2016 British apple and pear season. 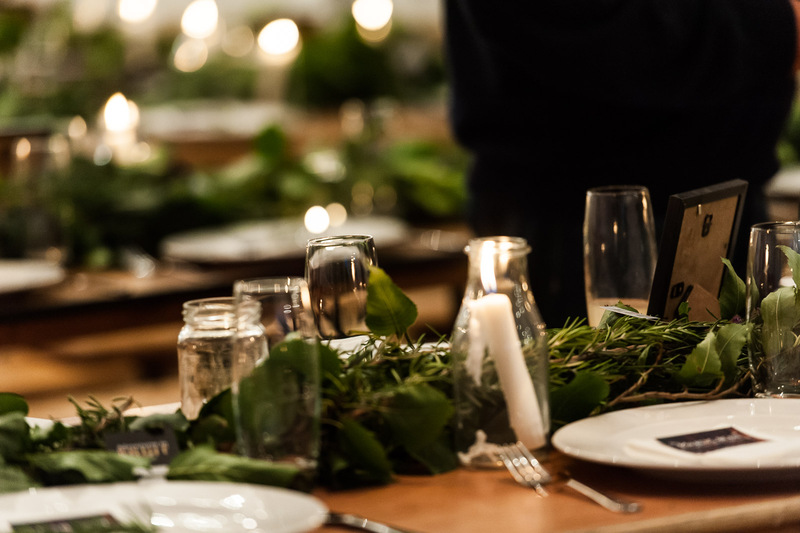 Last Thursday we hosted a Secret Supper Club for bloggers, fruit suppliers, farmers and M&S buyers in celebration of the launch of the 2016 British apple and pear season. 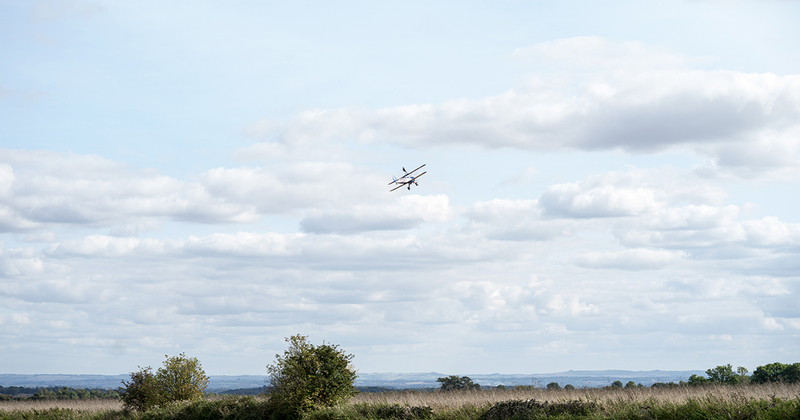 We were lucky to have Monks Farm near Faversham in Kent to host the event. 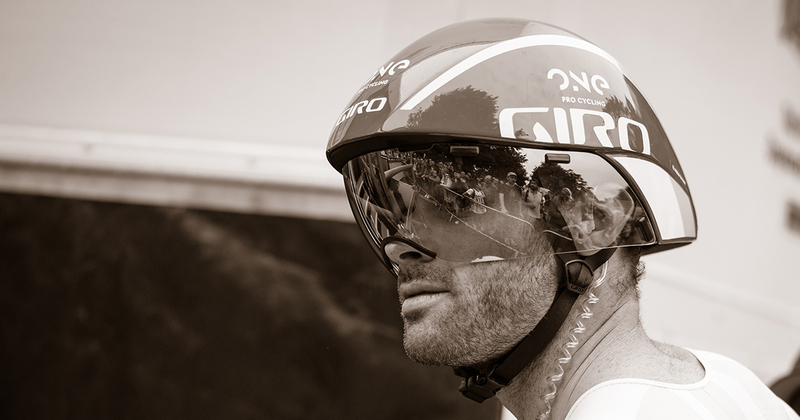 There is a lot of interest surrounding British cycling over the summer months. Last Tuesday we were lucky enough to attend an M&S open farm day in Herefordshire, to learn more about British apples and pears. Many staff members from M&S stores across the South-West and Wales were invited to come and find out more about the growing process. 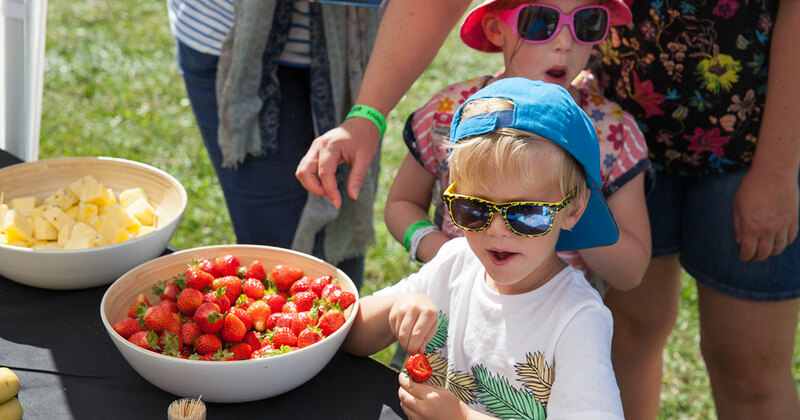 Our team at Pink Sky have just come back from Carfest South, where we were selling and sampling fantastic pineapples, bananas and British strawberries. For the first time ever we also had two smoothie bikes. For a donation to charity visitors could select what fruit they wanted in their smoothie, but they had to work for it! 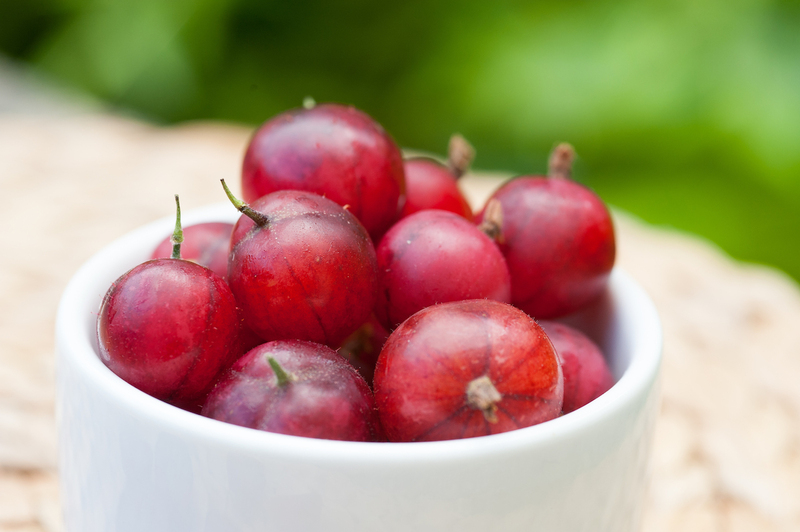 On Friday we were very lucky to promote and visit the farm where pink gooseberries are grown. 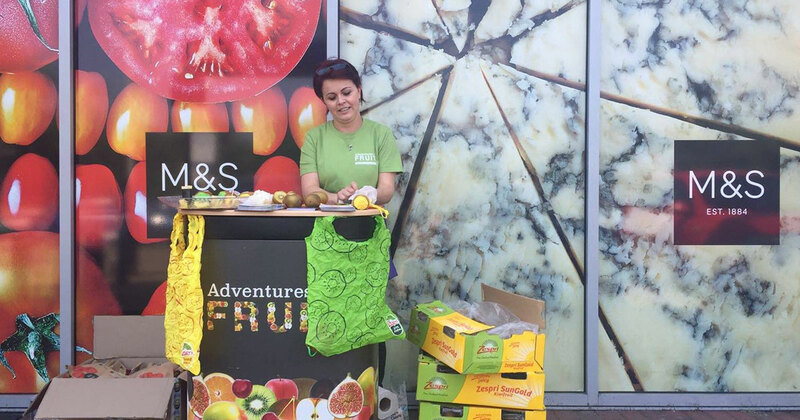 Zespri SunGold and Green kiwifruit have been travelling across the South of the country recently as part of our recent promotion, “Kiwis on tour!” We visited 5 popular locations in England, sampled the fresh fruit and shared our kiwi knowledge with the general public. As part of our 20% day at Pink Sky we were given the opportunity to design the new signage for Pitville park. Cheltenham Borough Council needed signage for the entrance gates and for the new aviaries as part of a huge redevelopment to the children’s play area, which has taken on a much more inclusive and adventurous feel. My memories drifted back to a time when I was a little girl looking at holiday brochures, as my brother and I used to turn our bedrooms into ‘travel agencies’, where we would invite each other and our parents to look at endless pictures of exotic destinations that we could only dream of, asking them where they might like to go and when. 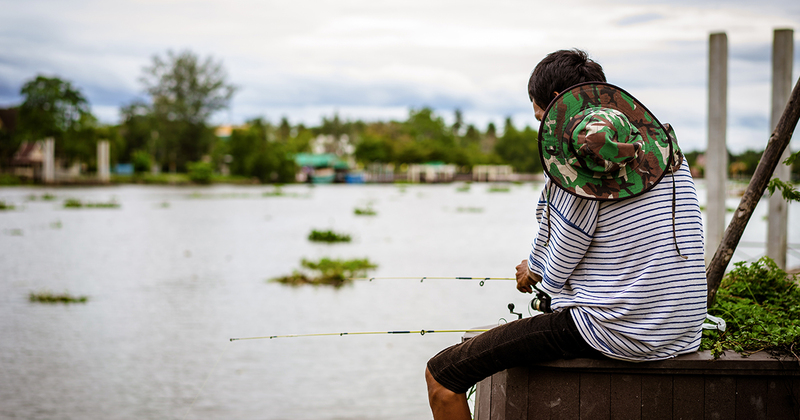 The next morning we boarded a minivan to travel to the province of Kanchanaburi. When we arrived, the first thing we noticed was dilapidated steam train engines by the side of the road, for this city holds a rather prominent piece of history - ‘The Bridge Over The River Kwai’. The next morning we were bound for Amphawa, the home of the famous Thai floating markets. The next morning had an equally early start, as we were heading to another new destination for a bit of down time and leisure, to break from the filming and photography that we had been taking part in at every destination. 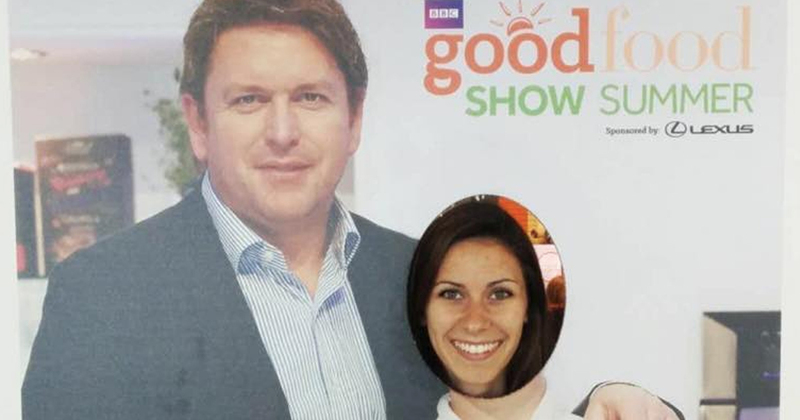 We had a fantastic time at the BBC Good Food Show Summer in the City a few weeks ago. We had some very special Thai fruits for this show, which went down a treat with all the hungry visitors. In the UK we are surrounded by beautiful countryside. 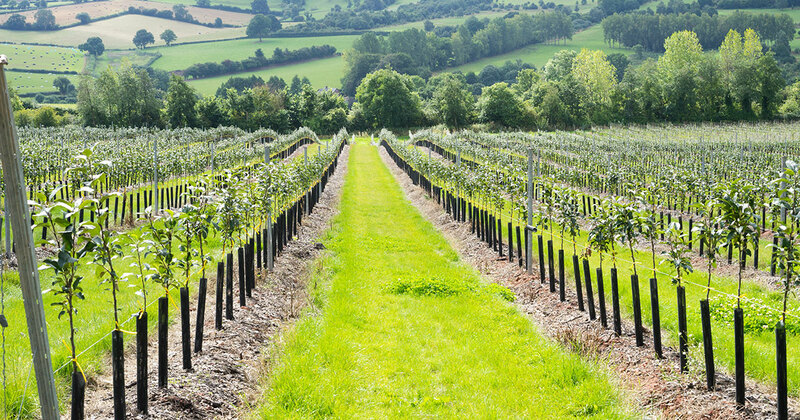 We are really fortunate to be able to work with fruit growers, who have farms and orchards nestled in the most amazing areas of the country. 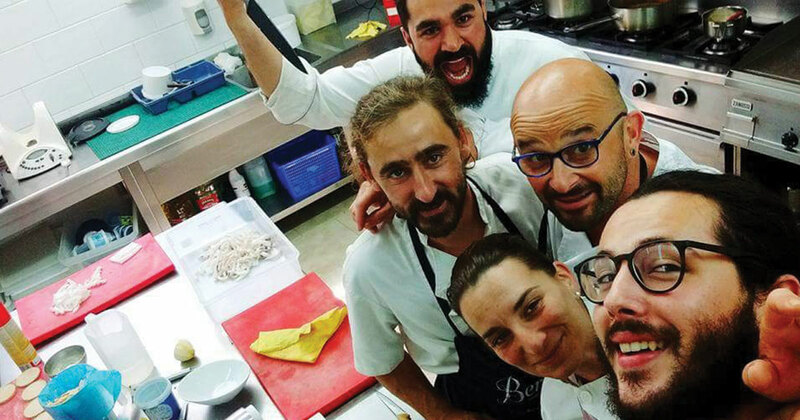 We are also very lucky to have Raquel with us from the Basque Culinary school in Spain. 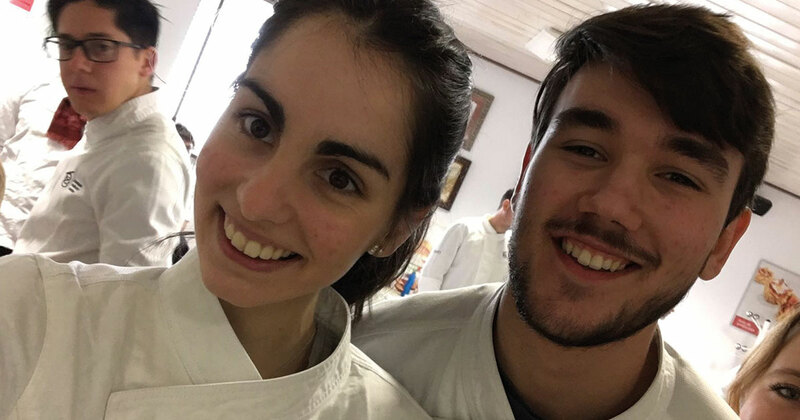 She is currently studying Gastronomy and has come to the UK to learn about food marketing. We are lucky to have Raquel from the Basque Culinary School with us at moment! 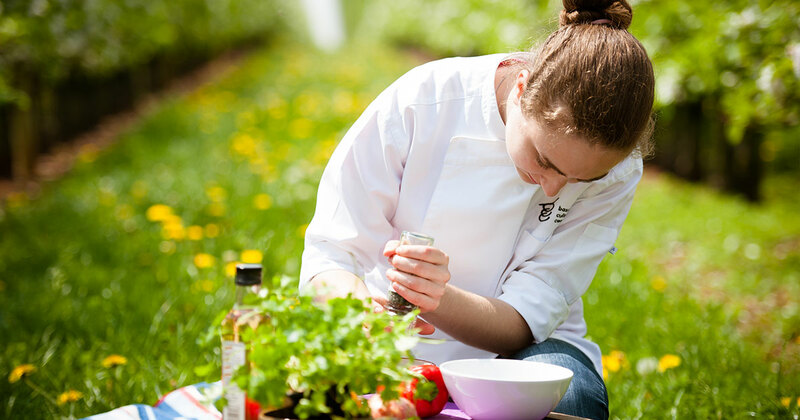 She is studying Gastronomy and has come to work with us to learn about food marketing. She loves getting into the kitchen and creating delicious recipes to share. 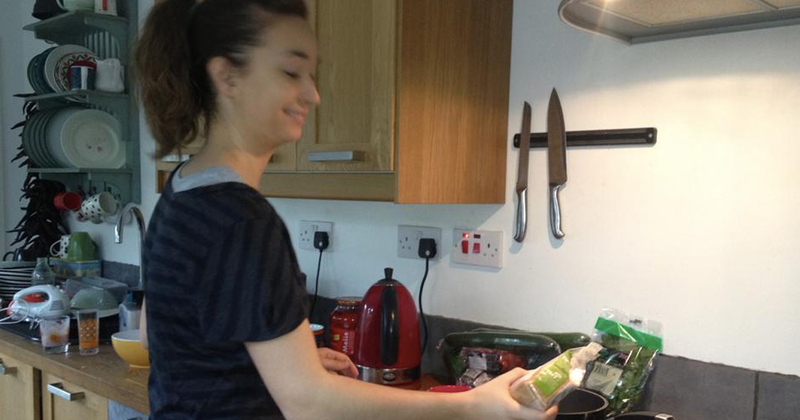 Last week Grace and Raquel took to the kitchen and cooked some recipes with mangoes and coconuts. As John Cleese one said, "If you want creative workers, give them enough time to play", and the monster race could not have provided a better playground! 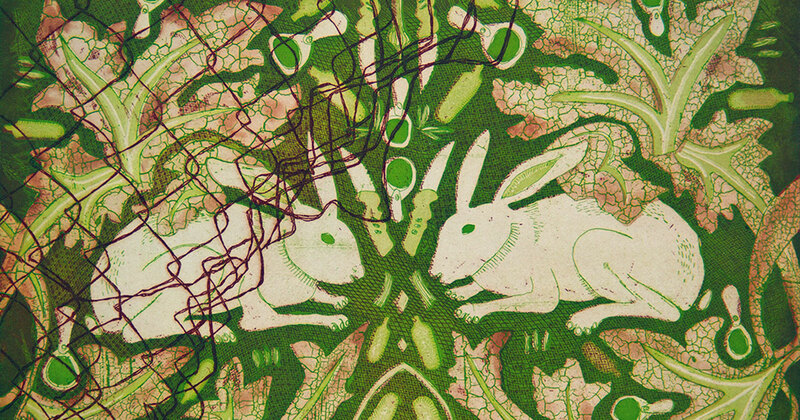 A few months ago we went into the University of Gloucestershire and set the illustration students a challenge. 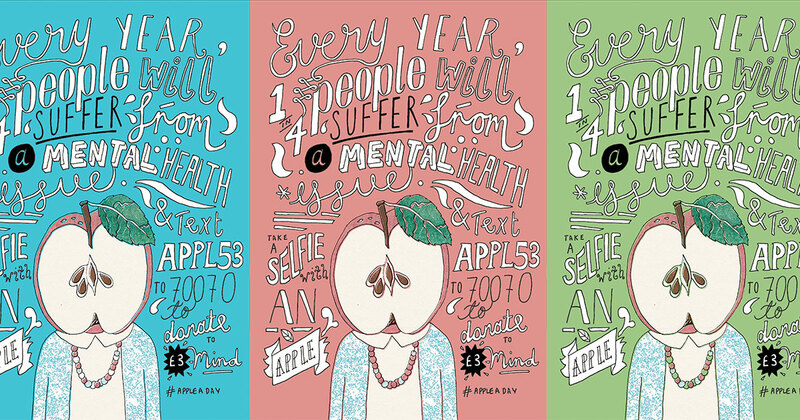 Taking inspiration from the painting ‘Son of Man’ by Rene Magritte, we wanted the students to create an A4 flyer to promote the #appleaday campaign. 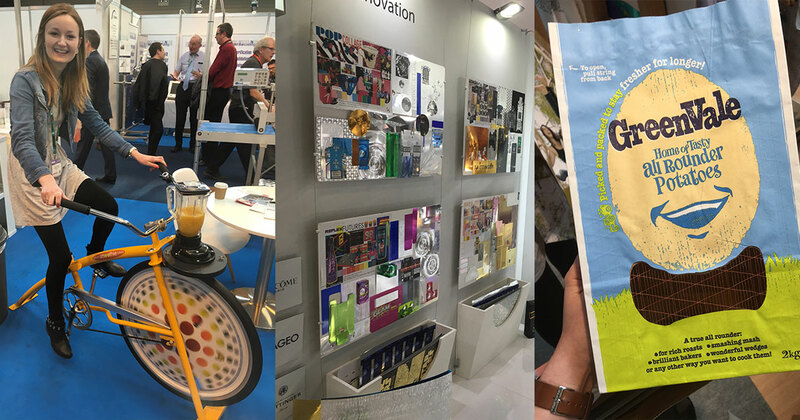 The packaging innovations show at the NEC Birmingham was a great event to attend. It is perfect to network with those who are involved in packaging and to find out new approaches, developments and latest trends. Last Monday was Grace's birthday! 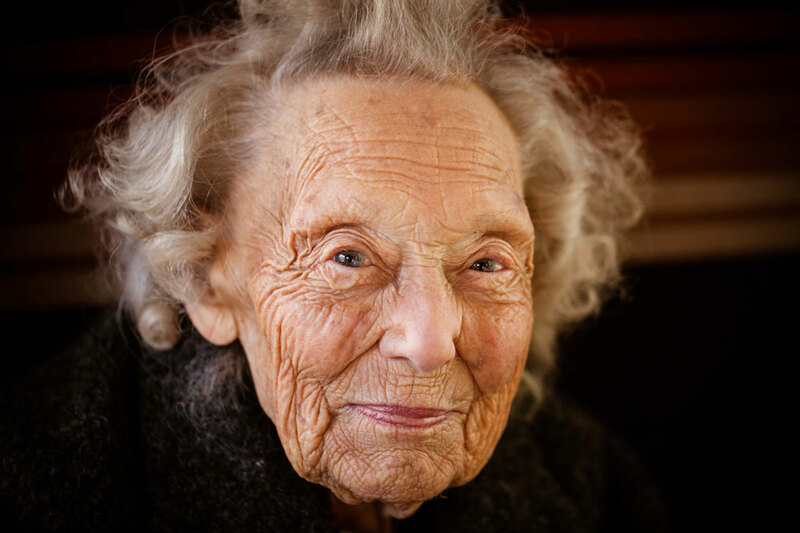 One of our most enjoyable working tasks is to visit the four care homes of Lilian Faithfull, in Cheltenham. Lilian Faithfull Homes asked Pink Sky to develop a new library of stock images for its communications, including an annual report that Pink Sky is currently designing. Pink Sky was recently commissioned to conduct some research on cherry purchasing habits. 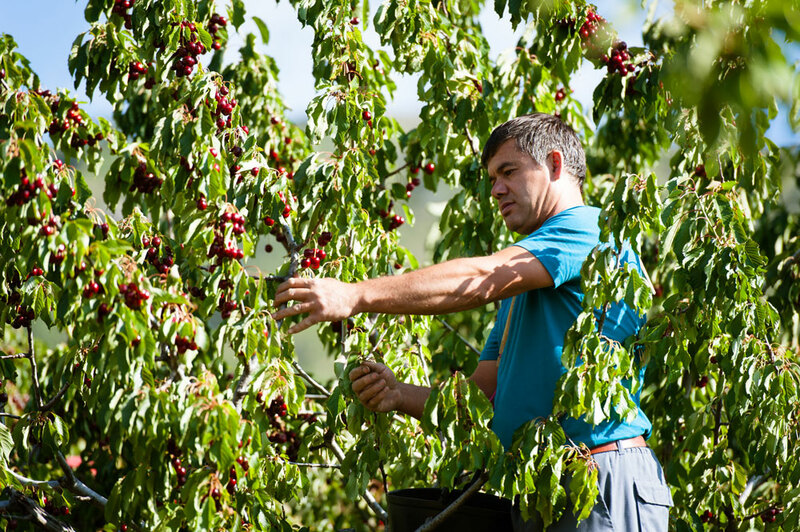 This research will run twice throughout the year and through the use of an online survey, store research and focus groups, Pink Sky hopes to gain a greater understanding of the motivating factors behind buying cherries. Learning To Drive A Tractor! Our work takes us to many exciting locations and visiting Chicory Crops was no exception. Jake and Rupert Simpson are third generation fruit farmers and we spent a happy afternoon visiting their farm to make a short film about what they do. 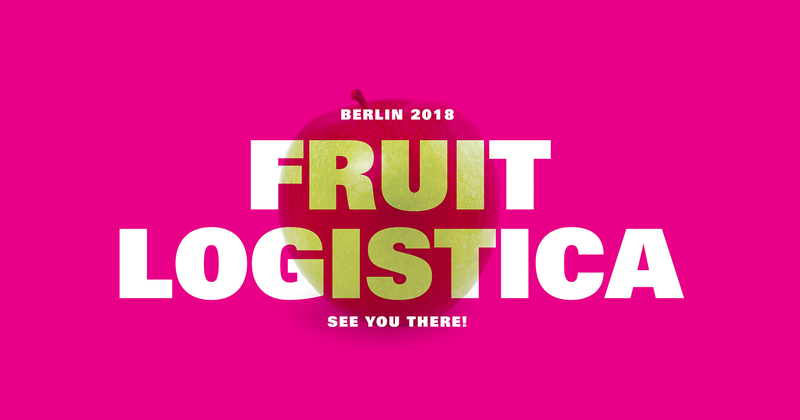 It is that time of year again... We are looking forward to boarding the Easyjet flight out of Luton that places us in a very chilly Berlin for annual international trade show Fruit Logistica. Adventures in Fruit took part in Vegfest London in October. 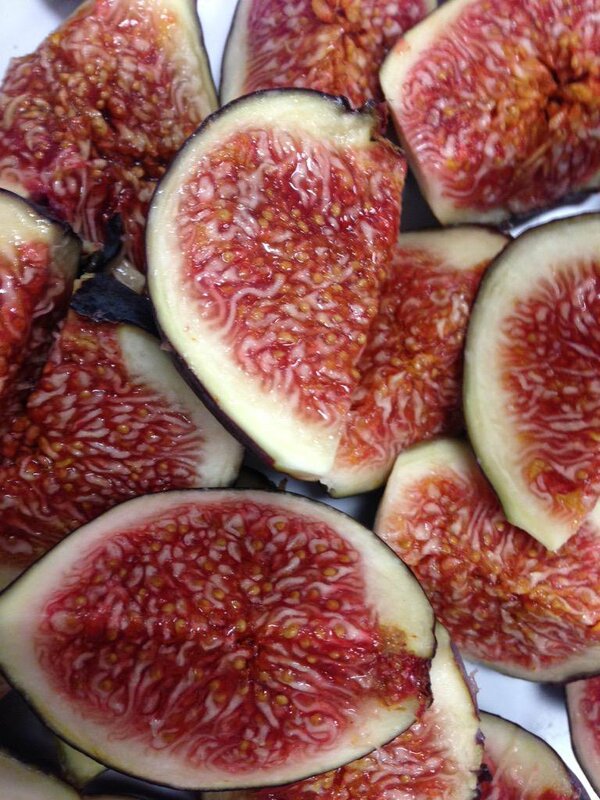 We took with us a mountain of Turkish figs and met thousands of visitors at the event. 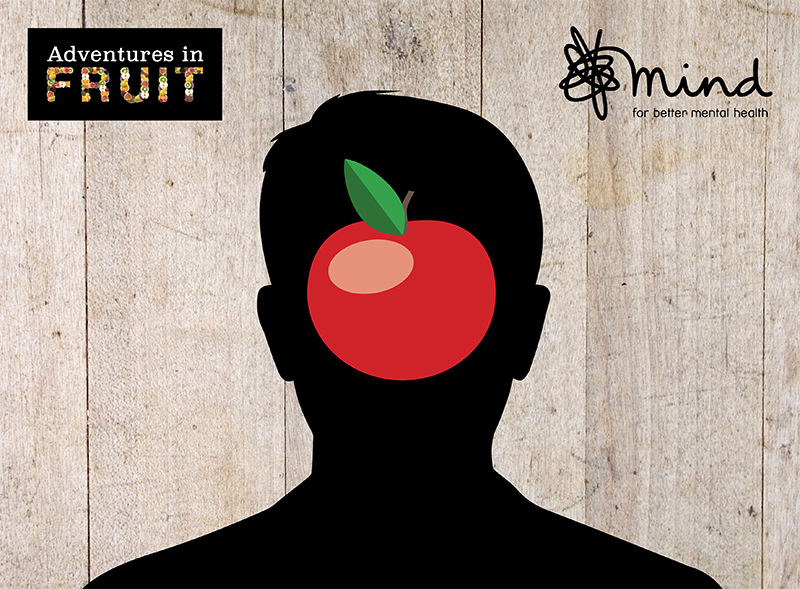 Making a difference for mental health Adventures in Fruit is supporting Mind, the mental health charity, with its new initiative #appleaday. You will have heard of the success of 'No make-up selfie' and 'ice bucket challenge', and we are hoping this will be the next big thing! Members of Team Pink have been very busy with sporting events in the past two months. 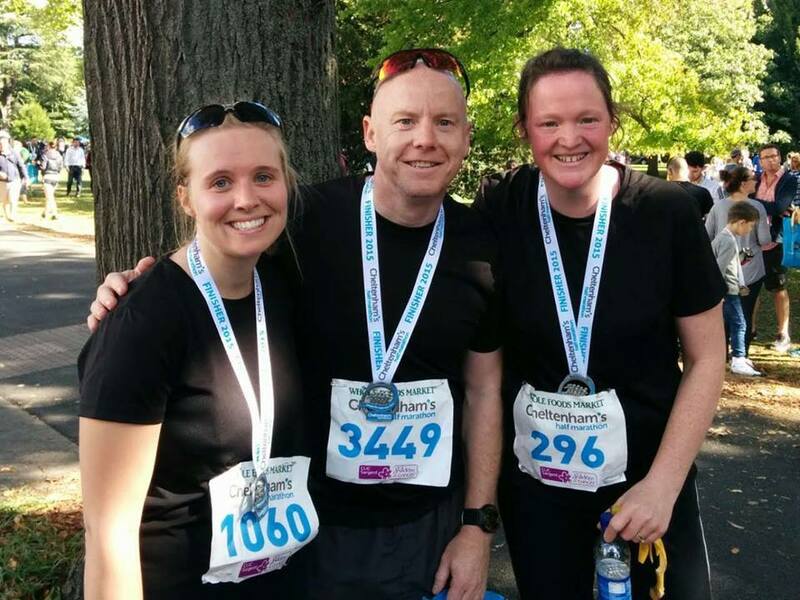 Naomi and Hywel have taken part in the Cheltenham (mini) triathlon and the Cheltenham Half Marathon. 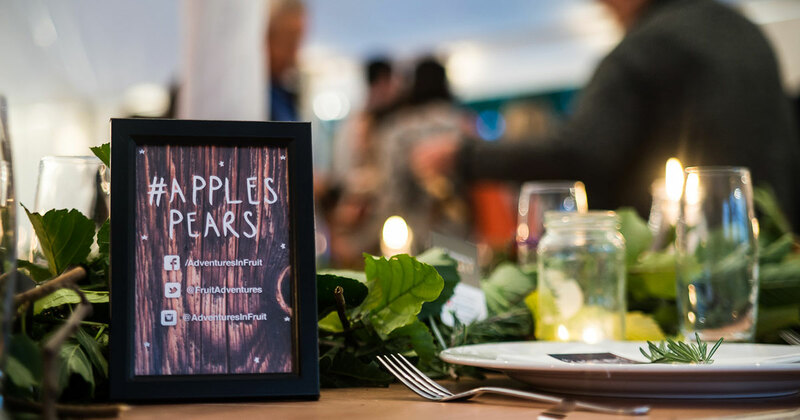 On Tuesday, 20 October we hosted an "Apples & Pears Evening Party" at the Apples & Pears Bar in London, the perfect setting to promote British farming at its best. The aim of the evening was to gather a room full of 'content sharers', who would take an active interest in the British apples and pears season and draw attention to it through various methods of journalism. Body image is a prevalent issue amongst teenagers and Lois Andrews is passionate about promoting positive body image amongst plus-size teens. Lois has been offered a 12 month contract with a modelling agency and needed to produce a diverse portfolio to show off her capabilities. 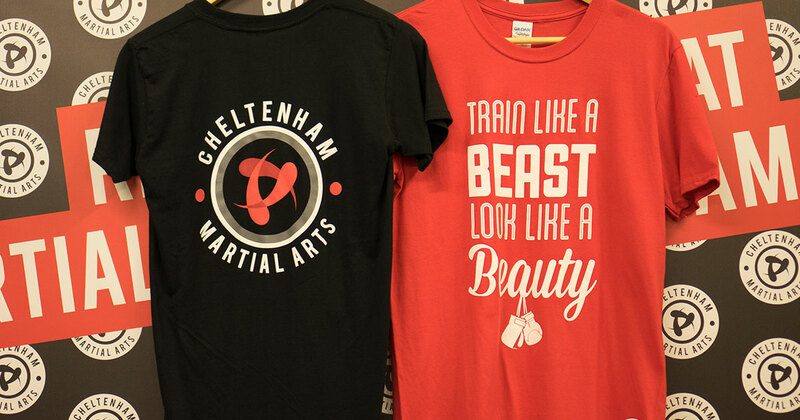 We are proud to have Cheltenham Martial Arts in our client portfolio, not least because in keeping with our philosophy that a healthy body aids a healthy mind. For this reason, staff participation in physical and sporting activity (combined with mental challenges) is actively encouraged. We were delighted to welcome the lovely Lucie Ducrey from France for an internship this summer. 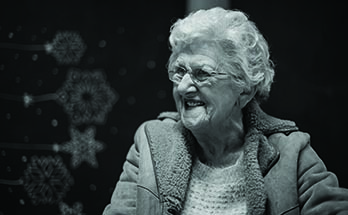 I am not sure if Lucie knew what she was letting herself in for when she arrived, but she quickly got stuck in to designing activities for children for one of our websites, sampling fruit at the BBC Good Food Show and spending time in local nursing homes. We are proud to introduce Clarabel, a new member of the Pink Sky fleet. Clarabel was a 1950s Italian ice-cream trailer and has been beautifully restored by her loving, previous owners. 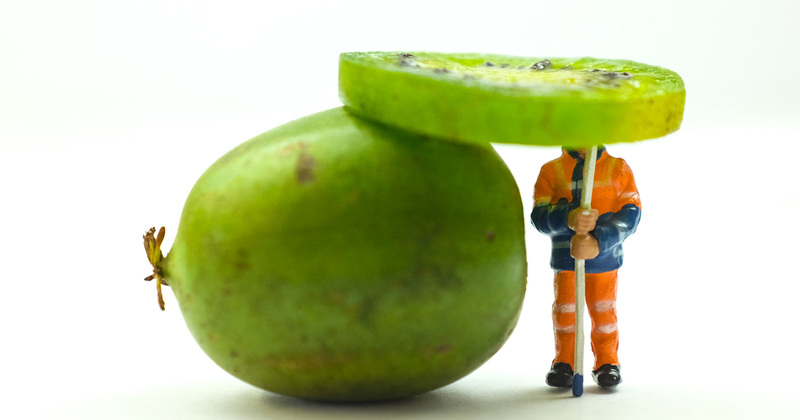 What would be the ultimate adventure for fruit? One thing the recession has done is re-align the perception of value amongst customers, leaving any retailers that offer products of average quality at prices that are beaten elsewhere under threat. 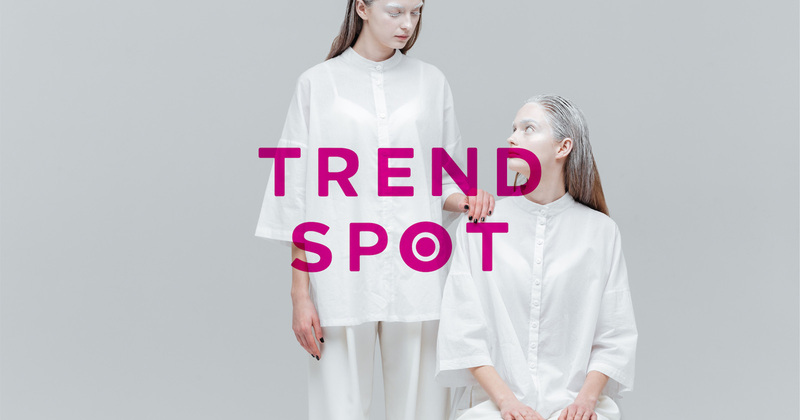 Retailers offering luxury, along with those with a focus on affordability have thrived. Learning To Cook - Oriental Style! 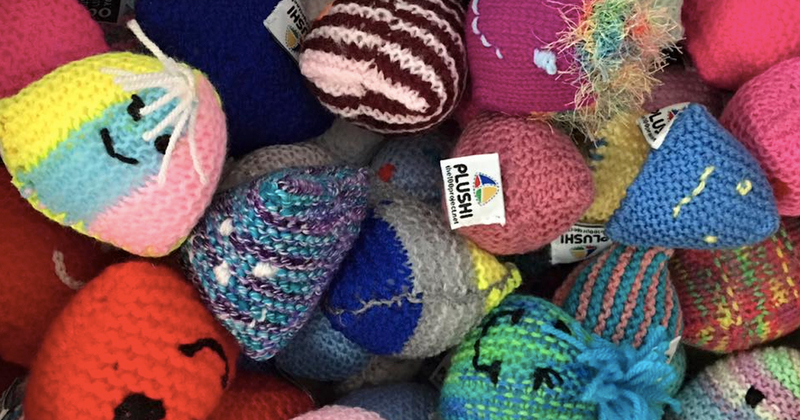 We are absolutely overwhelmed by the volume of Plushis we have been receiving, thanks to media interest. 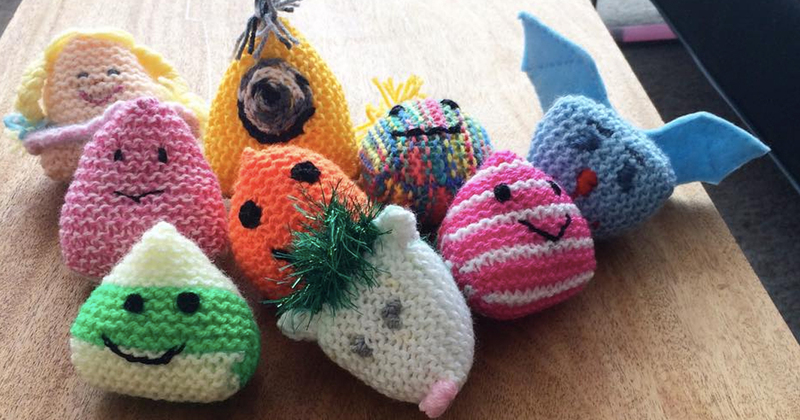 Featuring in Let's Knit magazine, Gloucestershire Echo and BBC Radio Gloucestershire, these little knitted treasures for children who are in treatment for cancer are causing a bit of a stir. Team Pink has had an inspirational and motivating day with Matt Rudman, owner and head instructor at Cheltenham Martial Arts. We usually try to get some personal development time on Fridays here at Pink Sky, and this was going to be one that got us thinking and moving! 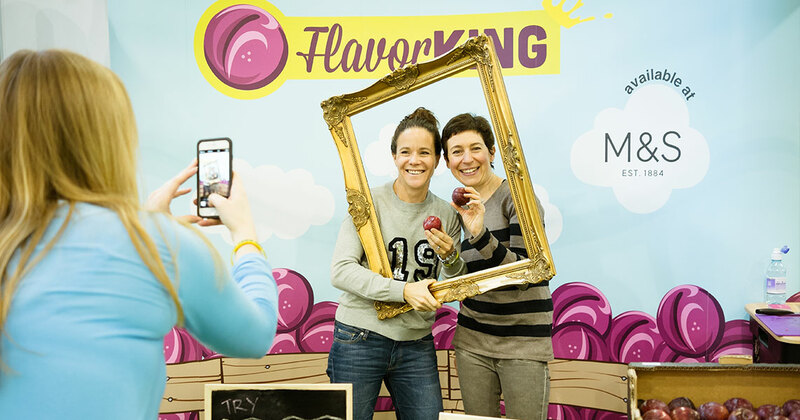 We were fortunate enough to be working on behalf of the growers of Flavorking to promote their plums at the BBC Good Food Eat Well Show in recent months. This was a project that we turned around extremely quickly and we had a fantastic time at what was a truly brilliant show. 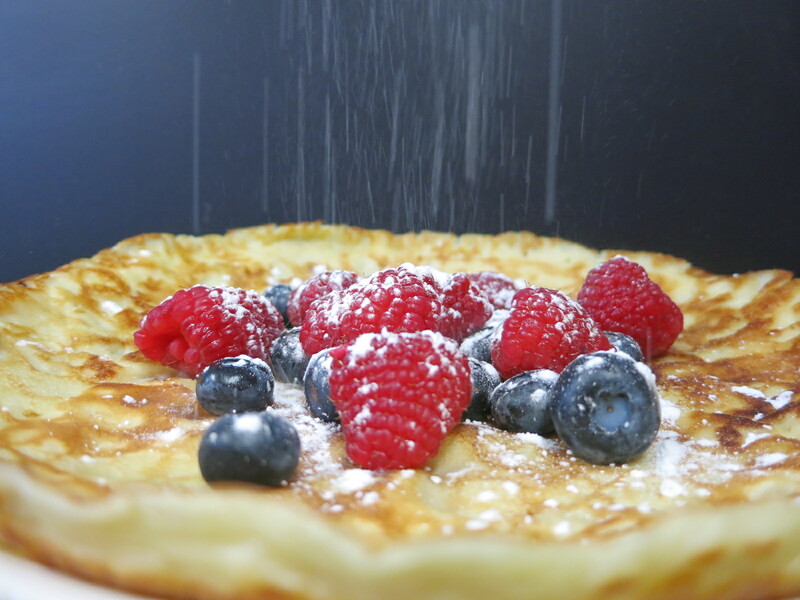 There are two things guaranteed to generate excitement amongst Team Pink - creative ideas and food! 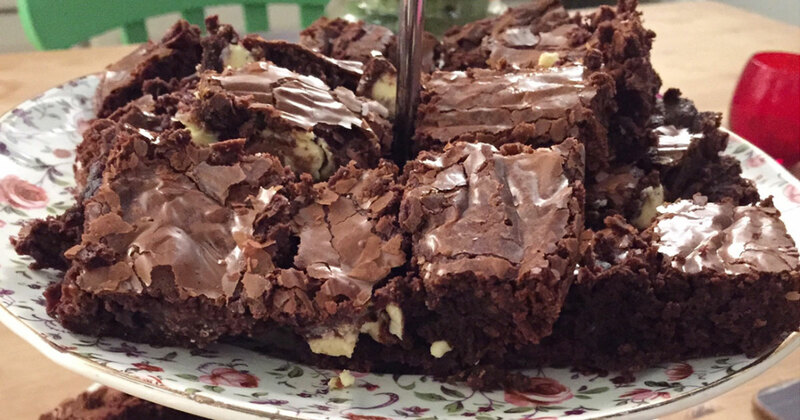 So we have been getting creative with the traditional brownie recipe and have come up with the perfect Pink Sky summer brownies. Lamorna is situated in Naivasha, Kenya and is surrounded by beautiful scenery, hippos, giraffes and monkeys! This is a wonderfully colourful project and we are enjoying it tremendously. All Aboard For Memory Lane! 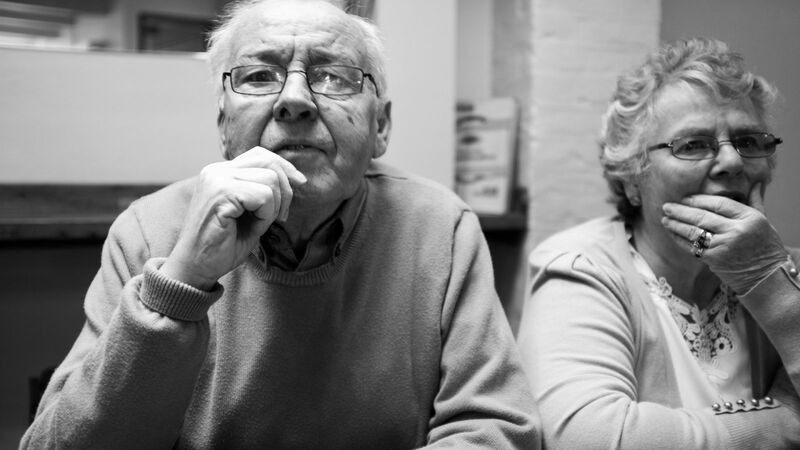 For anyone who has ever had to live with the horror that is dementia or Alzheimer's with a family member, you will know how deeply distressing it is as an illness. 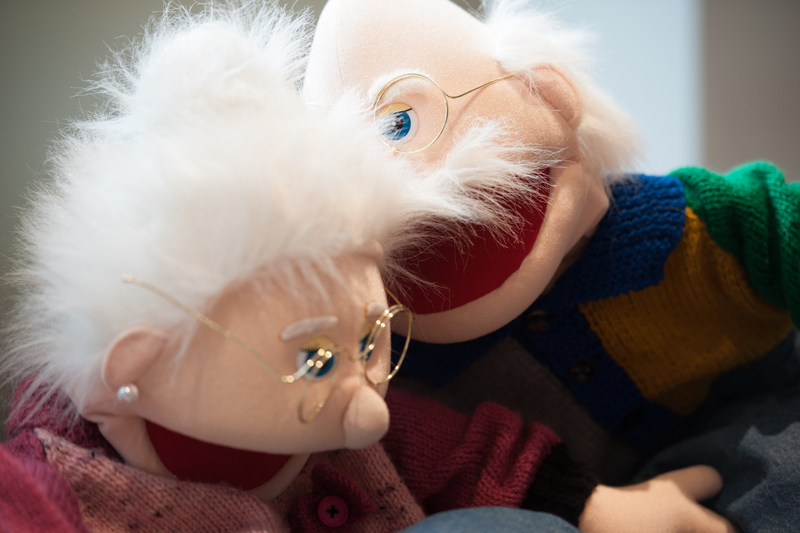 Whilst there is information out there relating to what dementia is, there is precious little that can prepare you for what it will be like, what course it will take and how to support someone living with it. It seems that at every turn, we are being asked to give to charity, or a worthwhile cause. 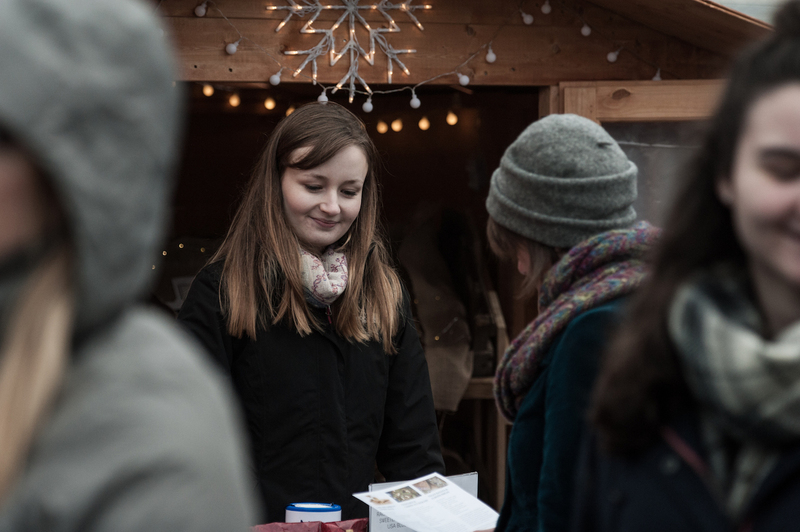 It is almost impossible to walk down the High Street without being stopped by a charity campaigner asking you to set up a regular Direct Debit to help their cause. We were lucky enough recently to be invited behind the scenes at Giffords Circus to photograph the rehearsals and a show. Giffords is the work of Nell Gifford who comes from the talented family that also includes Emma Bridgewater and Clover Stroud. As part of the annual Picota campaign we spent a really fantastic day at Weston-Super-Mare! 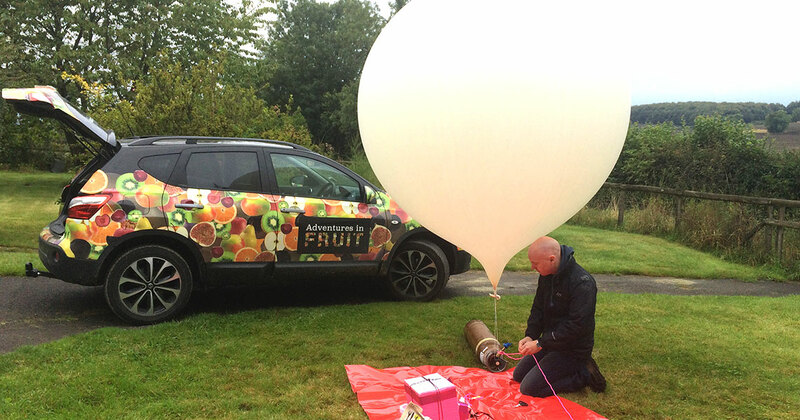 The sun shone and Pink Sky had a great day promoting the fruit that was on sale in UK supermarkets for six weeks this summer. 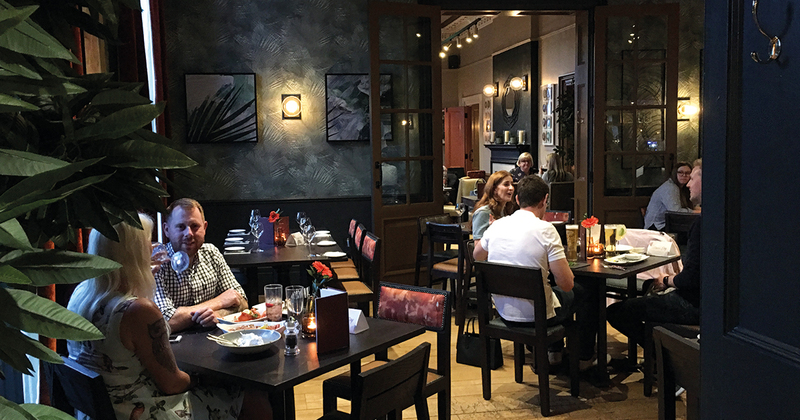 As part of our '20% day' (a day per week dedicated to developing our skills and helping others) we hosted two tapas evenings at Lilian Faithfull (at St Faith's and Dowty House). 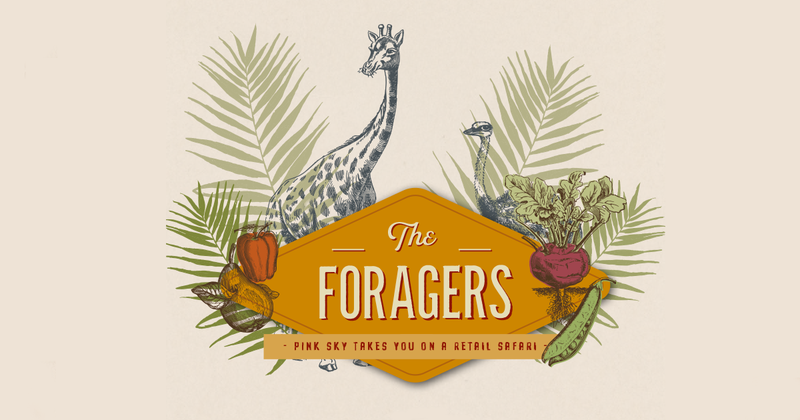 We are delighted to announce that Pink Sky has been invited to work with Marks & Spencer on a major food project. 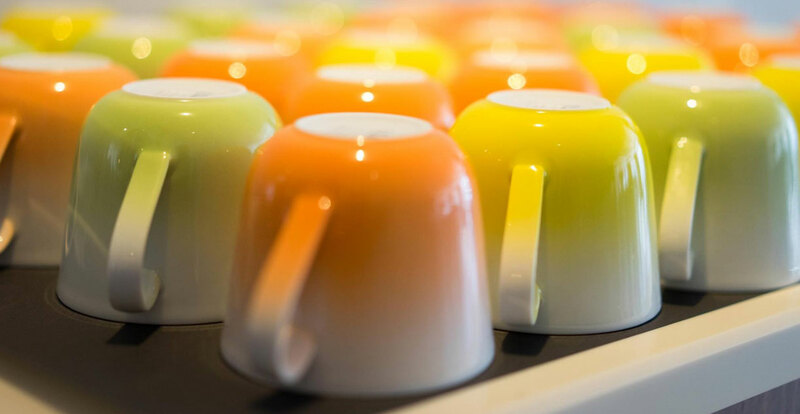 With a focus on maximising sales and enhancing consumer engagement within a vital category for the business, Pink Sky will be looking at the way packaging works to improve presentation, product hierarchy and product segmentation. 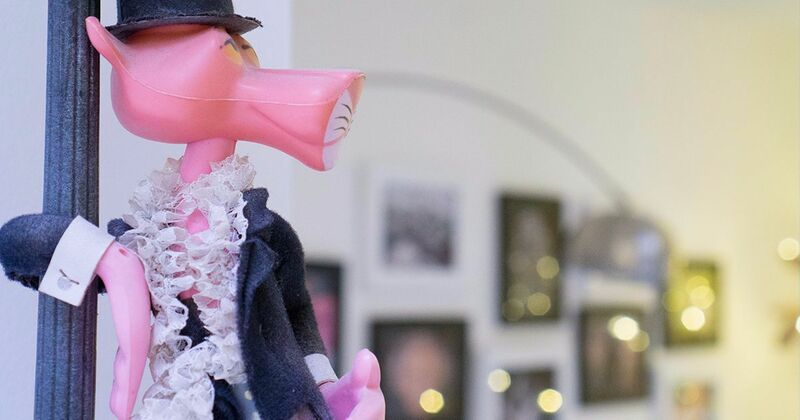 Pink Sky Wins Picota Contract For The Second Year Running! 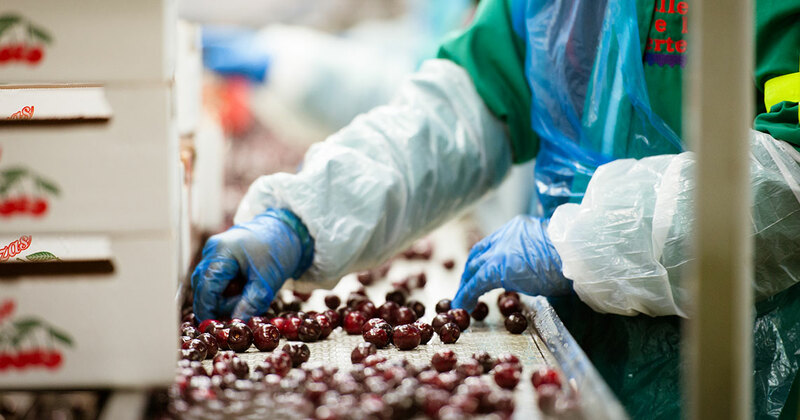 We are delighted to announce that we have, once again been awarded the contract from the Spanish Government to promote Picota Cherries throughout the UK. We are so pleased to continue to work on this fantastic project. 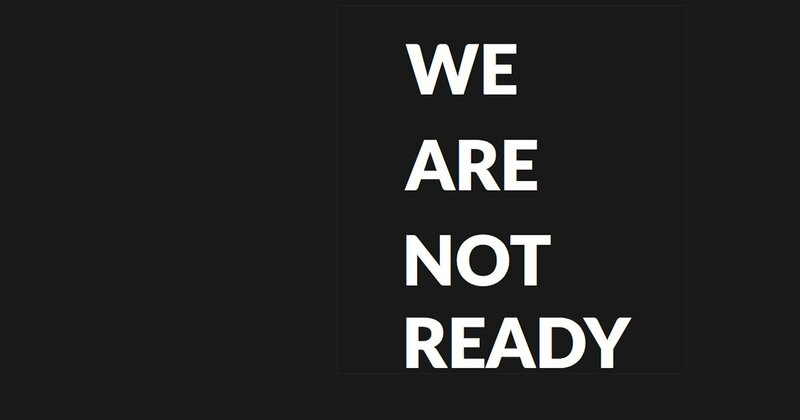 The 100 Project Makes The Headlines! We were absolutely delighted with the coverage given to The 100 Project by Gloucestershire Echo. It is wonderful to have such incredible support from our local media. 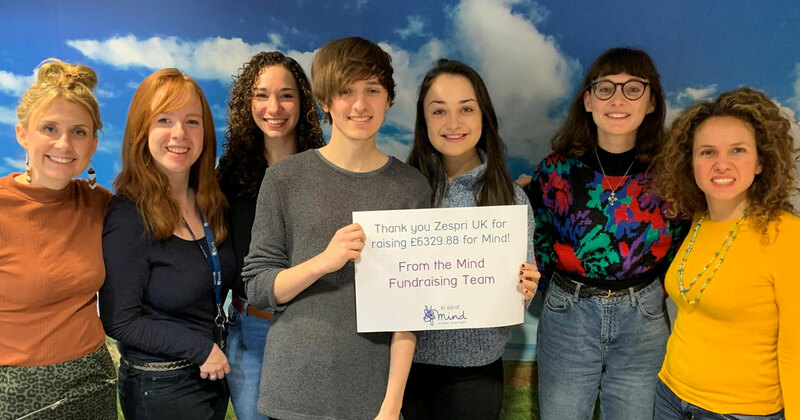 With coverage spanning five pages with the inspiring stories of some of our survivors, we would like to extend sincere thanks to Gloucestershire Media for their encouragement and generosity. Hi! My name is Amaia, I have just joined the Pink Sky team, I will work and learn with them for the next three months. I am very happy and excited for the great experience that awaits me during this time. Thank you to Dale, Forty Pianos for this fantastic guest post, updating us on the progress of the build of many new Dale, Forty pianos. 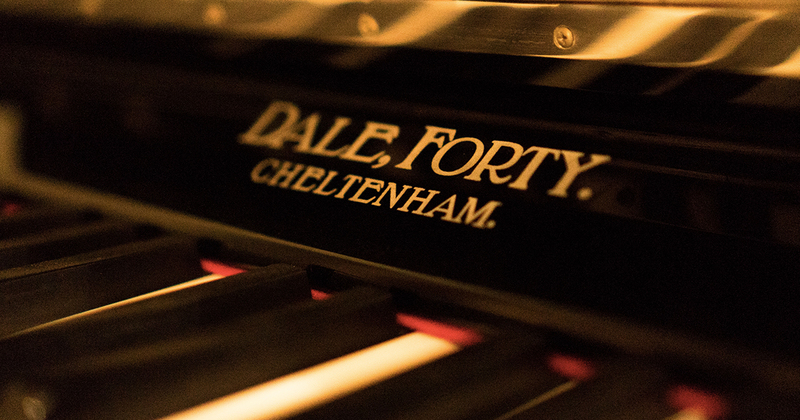 The first shipment of Dale, Forty Pianos has arrived in the UK! The first container of Dale, Forty pianos has been unloaded and finished by Invicta Pianos in Kent. 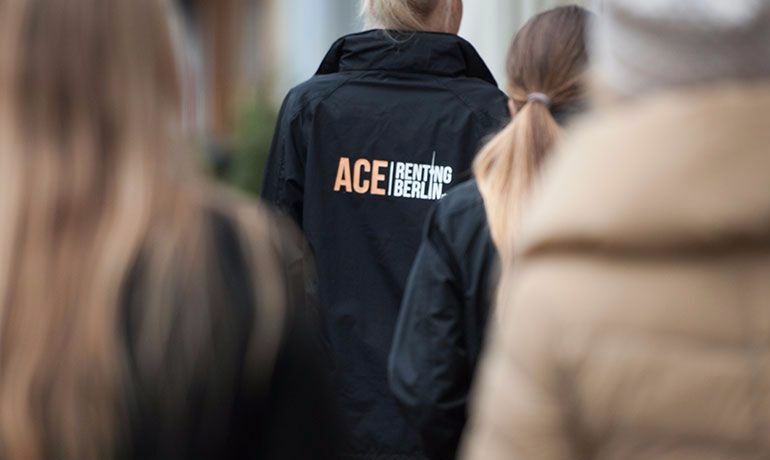 In December we travelled to Berlin as part of our ACE branding project. 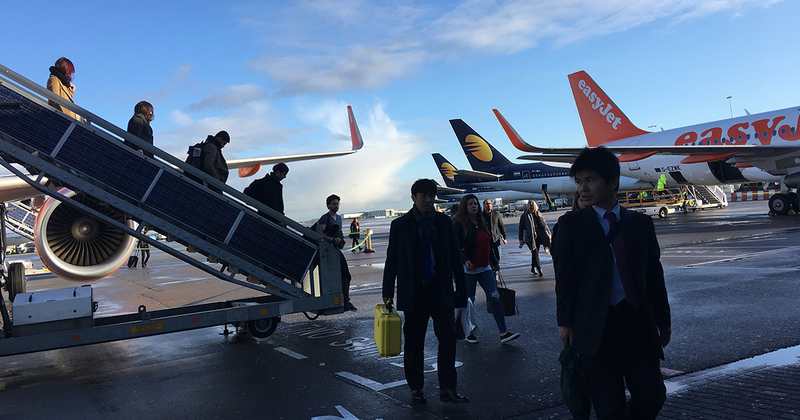 With six bikes in transit, suitcases full of staff uniforms and tonnes of camera gear, we boarded early one morning at Luton to head for Schönefeld. 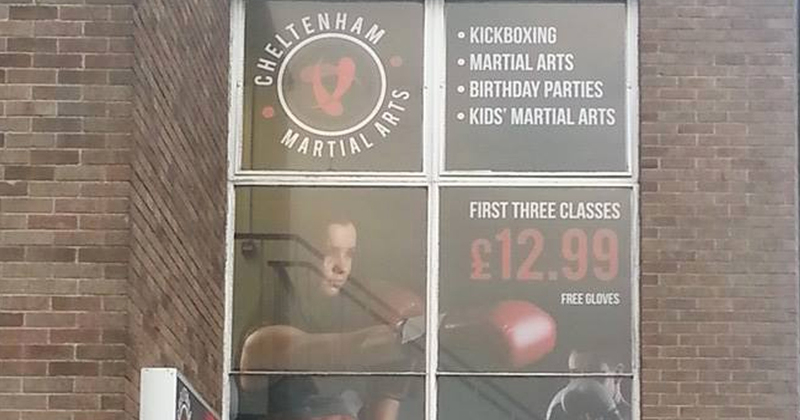 Cheltenham Martial Arts has just had their new Contra Vision window graphics installed and they look fantastic! The academy is now visible to the surrounding area and we are really thrilled with the results. 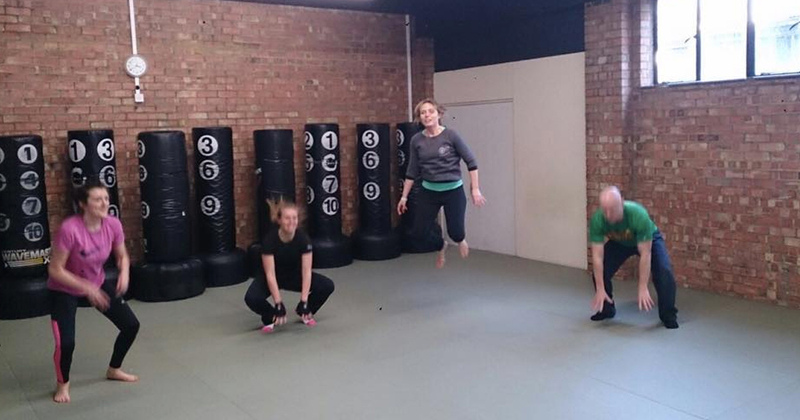 Cheltenham Martial Arts is a fantastic academy offering activities for people of all ages. 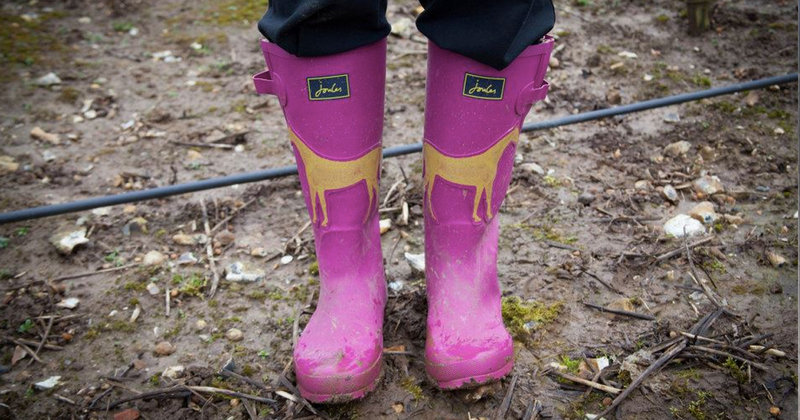 Pink Sky was invited by UK Co-operative Berry Gardens to run a training day on brand communication and digital strategy (particularly through the use of social media). 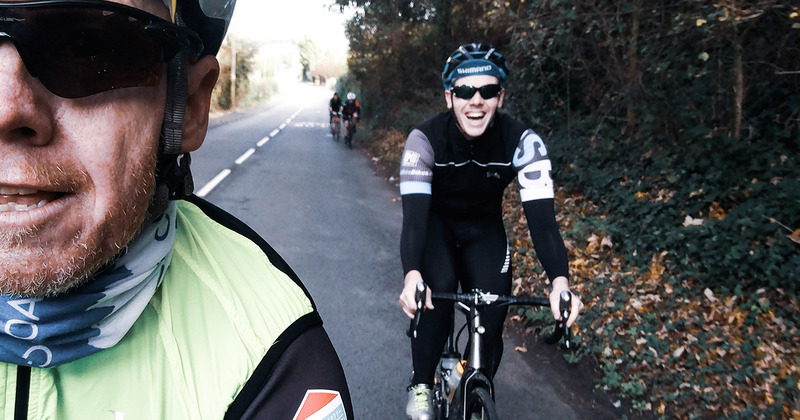 We had a fun day down in Kent, which included a morning of traning and a 'social media takeover' in the afternoon. 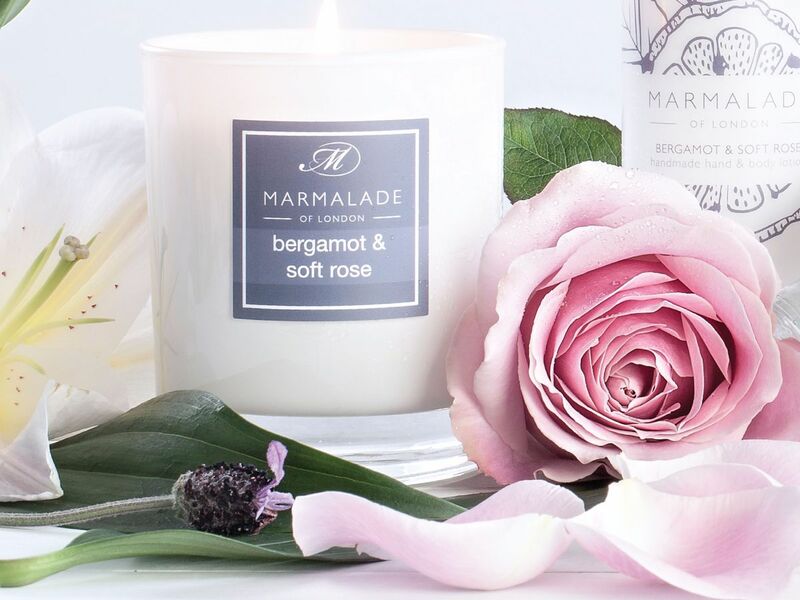 Marmalade of London will again be exhibiting at Spring Fair International this year, with a bigger stand than ever! With an 11 metre stand, the Marmalade display is triple the size that it was last year, demonstrating the success of this fantastic British brand. 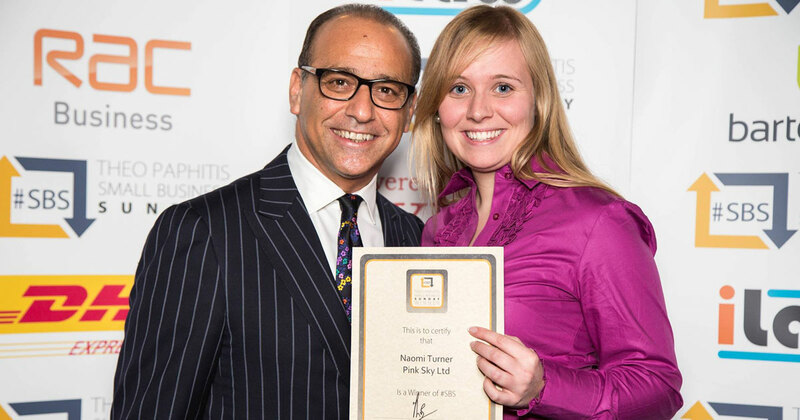 Theo Paphitis Small Business Sunday Winners! We are thrilled to announce that we are winners of Theo Paphitis's Small Business Sunday Twitter competition this week. In recognition of the exposure that Twitter can offer, Theo Paphitis decided to set up Small Business Sunday (#SBS) a while ago, to cater for the influx of people wanting to tell him about their product or service. There are still many more Facebook users than Twitter users, so the statistics say. The figures for Facebook now stand at a staggering 800 million+ users.